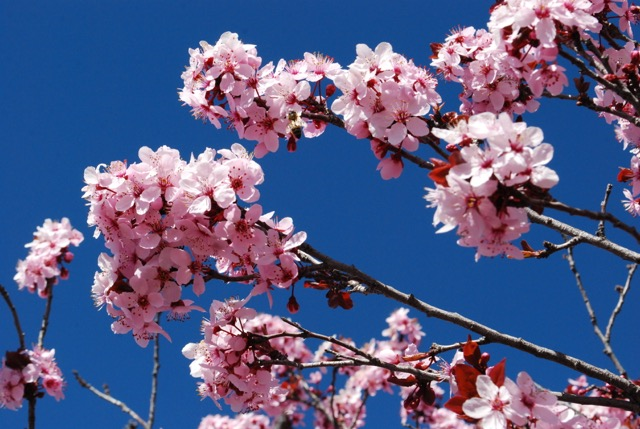 Cherry blossom in the parking lot between Sage Inn and Whole Foods, Santa Fe, New Mexico. Photo by Sansai Studios. 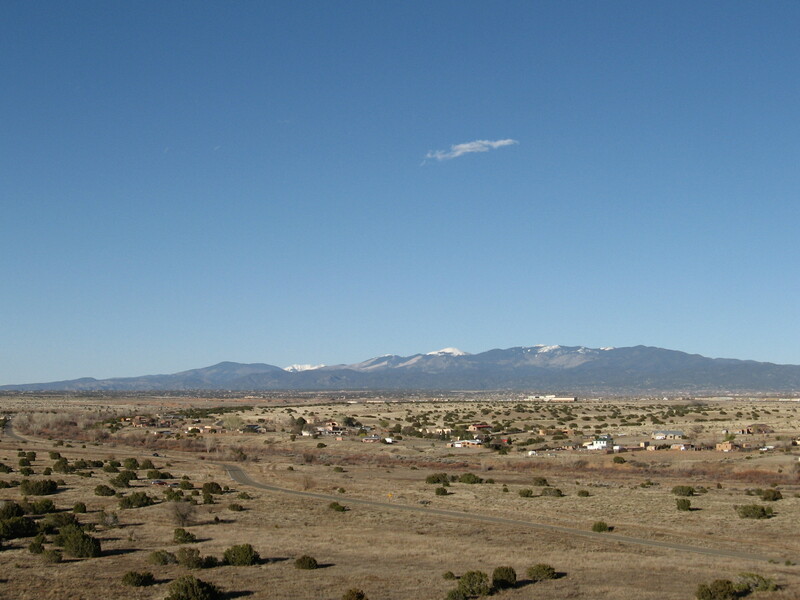 We took a trip up to the lovely high desert town of Santa Fe last weekend. Mai performed Ikebana at The Molecule, a modern design studio, on Friday evening. 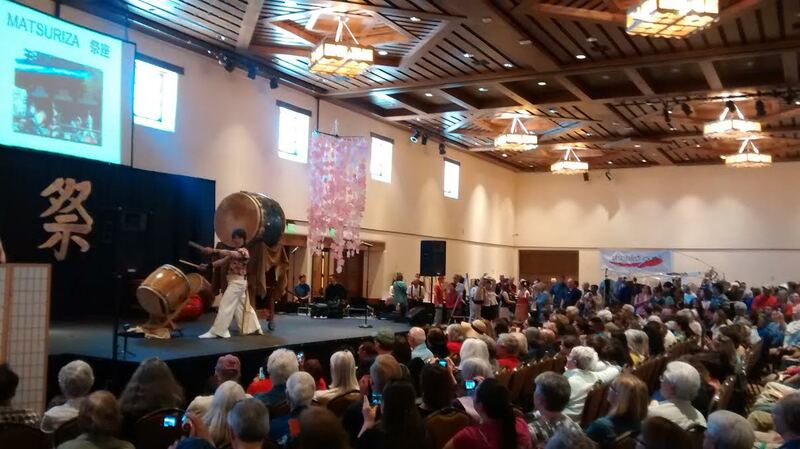 We stayed overnight and strolled from our hotel to the Farmers Market on Saturday morning, followed by an afternoon spent at the Japanese Matsuri (Spring Festival) in the downtown Convention Center. 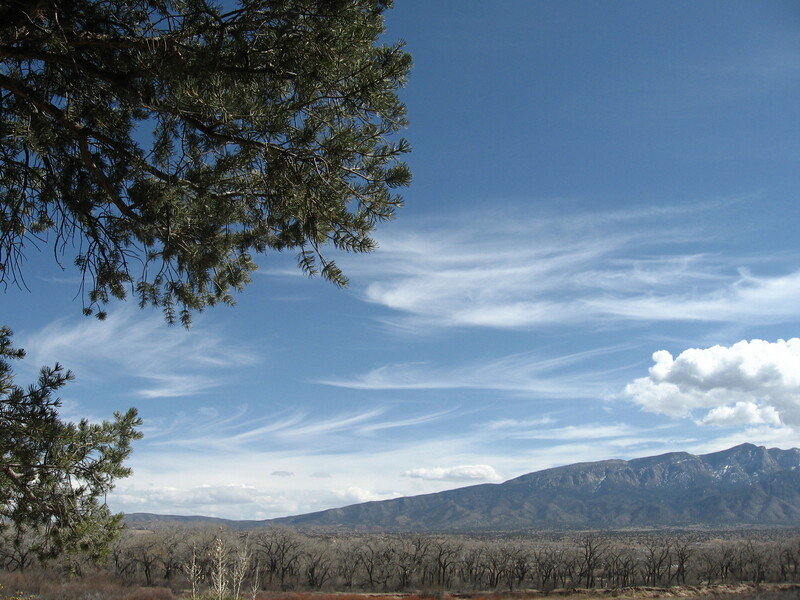 Walking helped us slow down and have time to appreciate the often times contrasting sights, inscribing and better integrating an understanding of the diverse character of Santa Fe through our web of experience. The Molecule is constructed of recycled shipping containers. 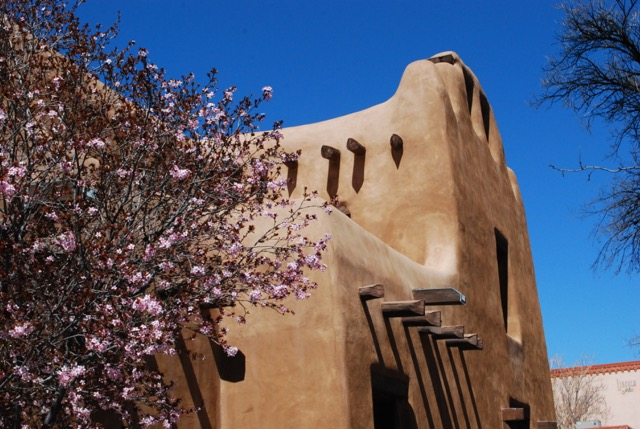 Quite a contrast to the Spanish-Pueblo architecture and designs from other eras. 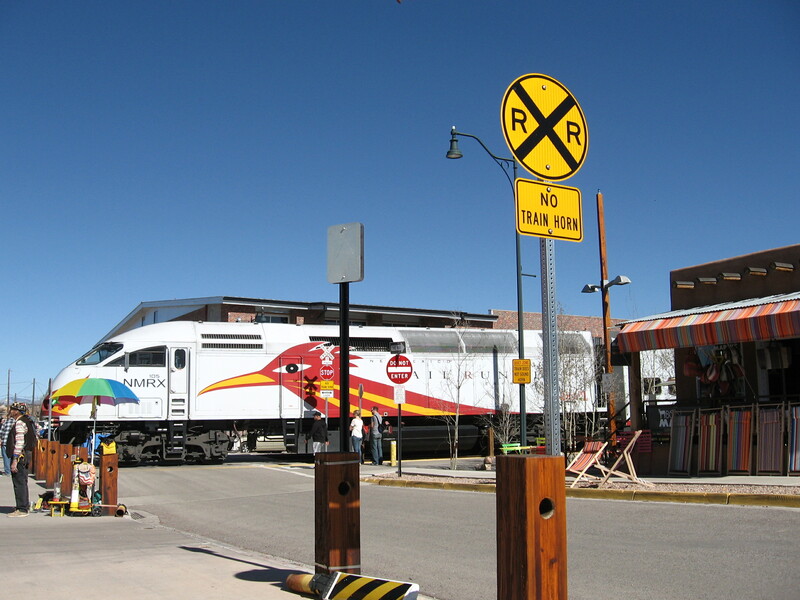 Santa Fe is a fusion of intersecting cultures and times, making it a natural hub for innovation. 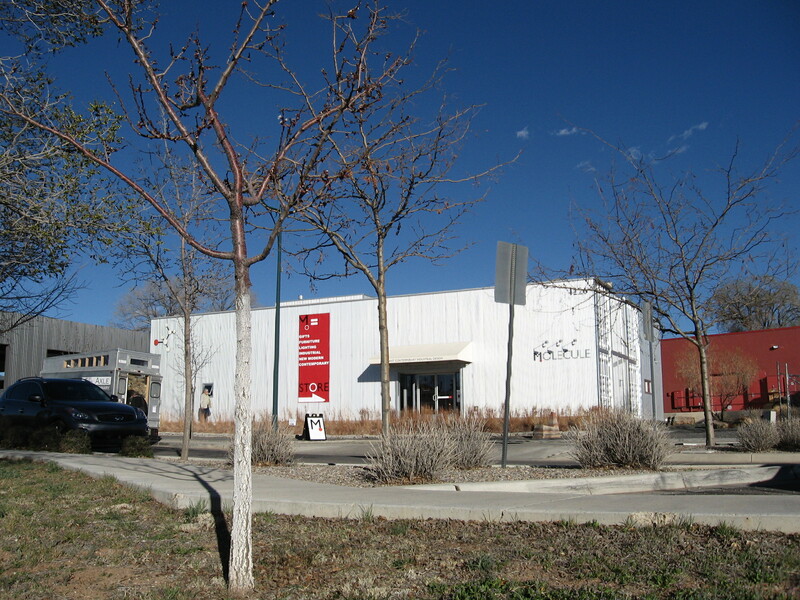 The Molecule is just south of Railyard Park which is home to the trendy yet ancient Farmers Market. 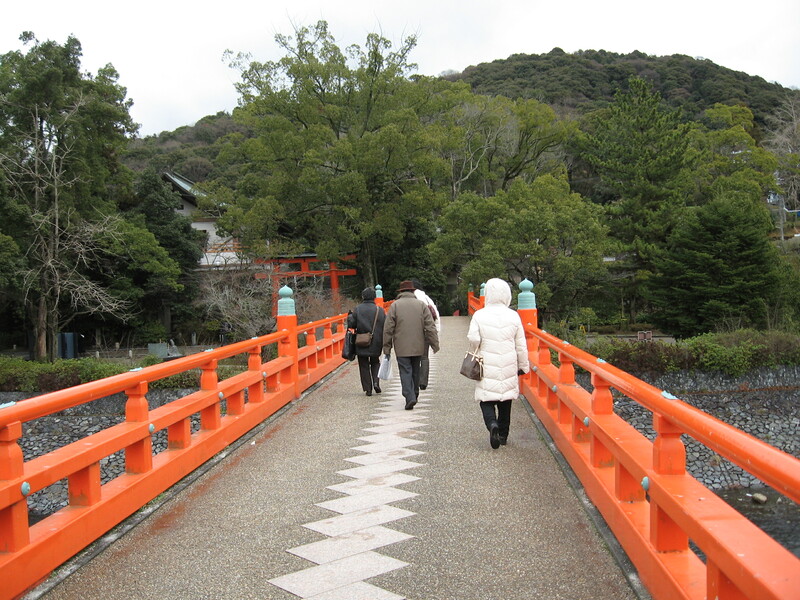 Walking is the way to discover what this global city has to offer. 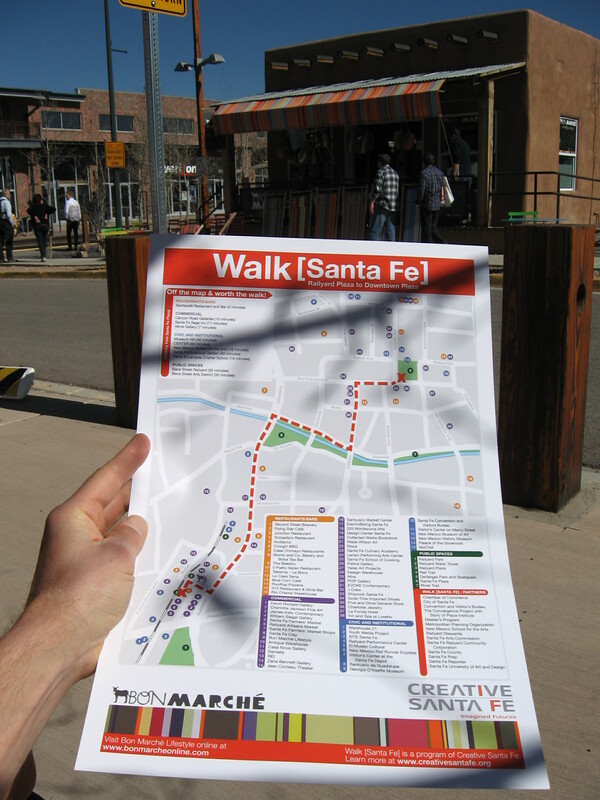 Creative Santa Fe made a cool walking map of a route from the Railyard Plaza to Downtown, which are intertwined with the Acequia and Rail Trails plus many streets. Sometimes inviting people to walk again is important in a culture where driving can be reflexive. The walking journey creates remembered miles. 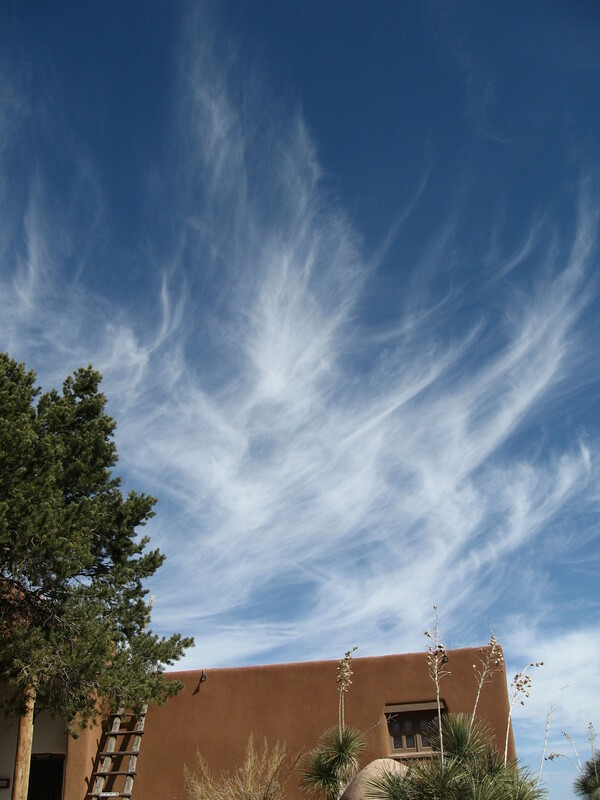 Santa Fe is so rich and dense with cultural attractions walking is an elegantly simple way to appreciate the living here. Walking is an integral part of threading together a sense of this place, and often opens up opportunities to meet people, get pleasantly sidetracked and enjoy improvisational moments. You have great freedom in making your own discoveries once you see this as a place where you can walk to destinations everywhere, or combine with transit. People come from all over for the Japanese Festival. Ringtaro Tateishi’s drumming captivated the audience. Of course the food served at Matsuri from local restaurants was so good that ambling around the show floor and plaza was beneficial to work up appetites for more delicious sampling. The textures of this world, from the building décor to the ambiance of celebratory Springtime, charmed us beyond measure. Everywhere we are reminded of the wide range of global histories intersecting in the Southwest, through people, architecture, food, art. 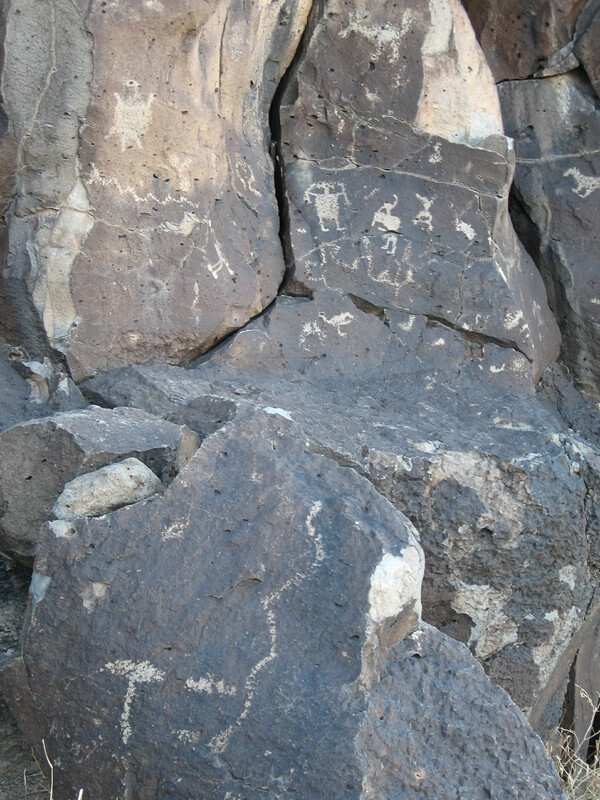 Headed back to Albuqueurque we stopped at La Cienguilla petroglyphs, a place we’ve always wanted to explore. 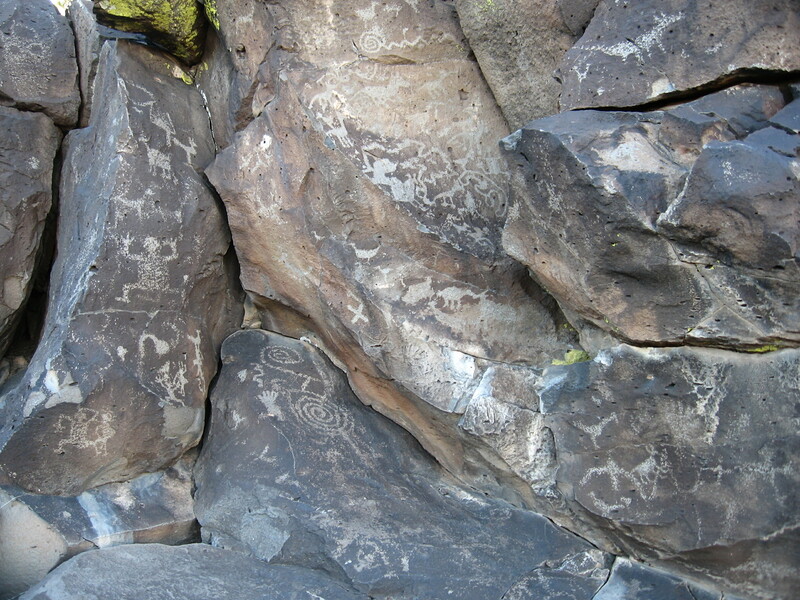 The walk along the edge of the basalt escarpment takes effort but it is worth the awesome surprise of the rock art panels opening up to you, and the opportunity to contemplate the rock artists’ ability to communicate through time. 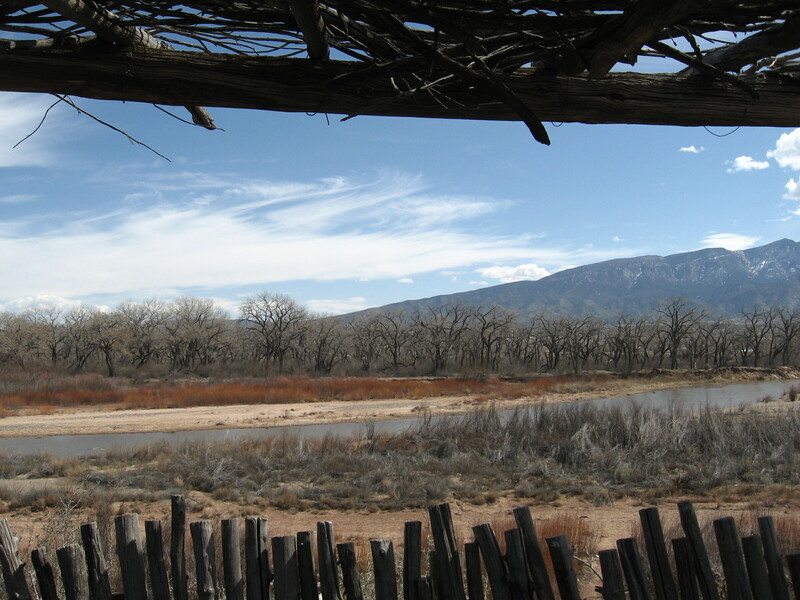 Overlooking the Santa Fe river and with far away vistas of the Sangre de Cristo mountain range above Santa Fe, it was a neat spot to visit. The ancient artists chose wisely. It was good for us to get out in the country for a gentle stroll and let those close up city times echo around and spiral their way into our memories. 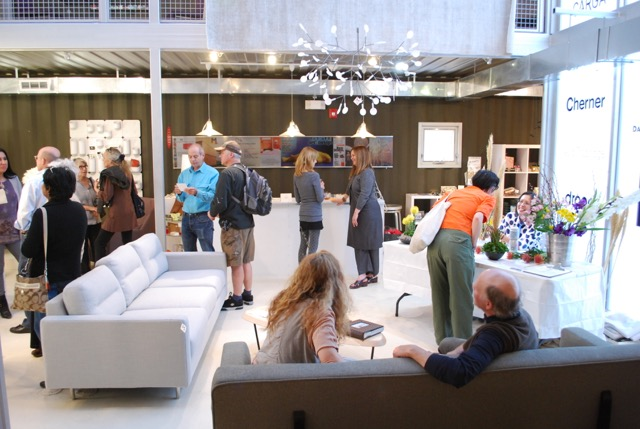 The urban life contrasted with the rural setting puts you at ease and opens your imagination. 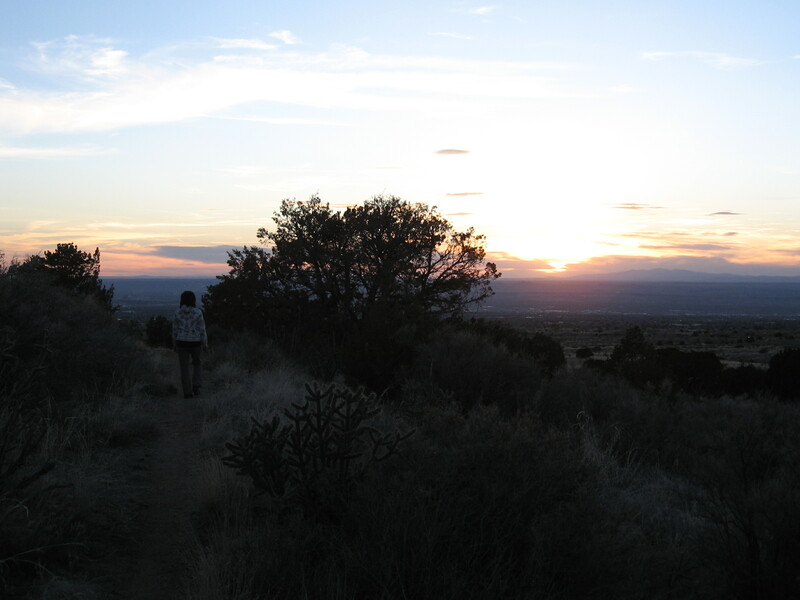 Spending a weekend walking in Santa Fe turns restlessness into a creative event, and is a good way to live fully in the present while arriving to a healthier future here. Good planning creates opportunities for people to envision and make healthier and more productive choices. 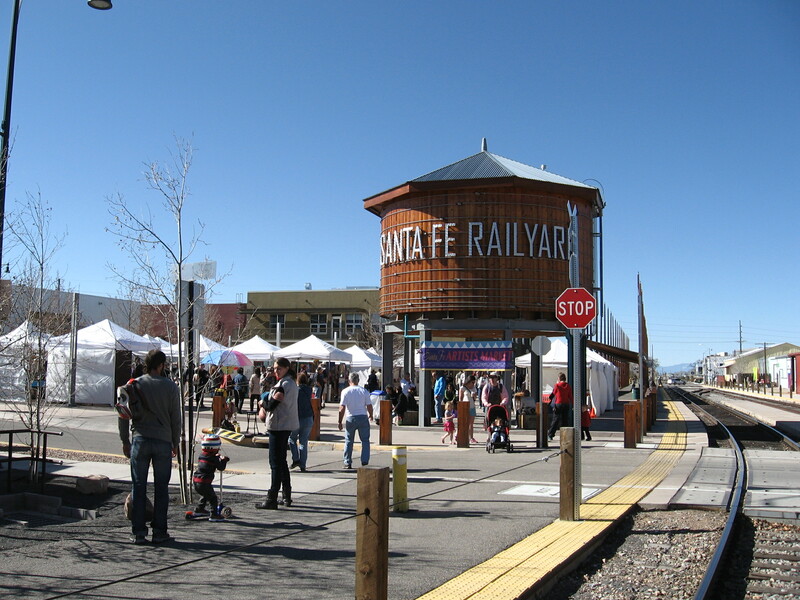 It is encouraging to see an entrepreneurial spirit come out in individuals and families who are taking advantage of the walking and biking around Santa Fe to make their own pathways of discovery. These direct experiences build up knowledge in our population, making for better connections to this land we are still arriving at. Santa Fe is walking heaven. 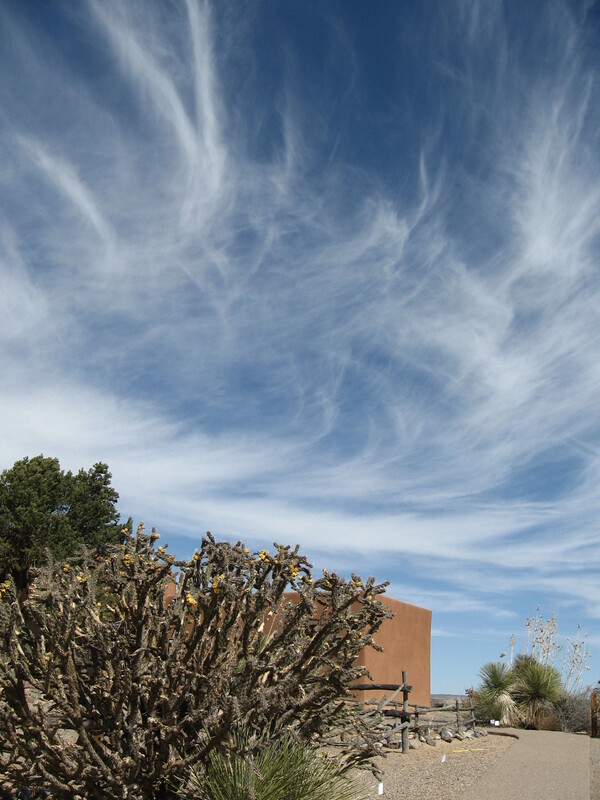 Creative Santa Fe Org. explains why walking rules and is a good thing for people & the city. 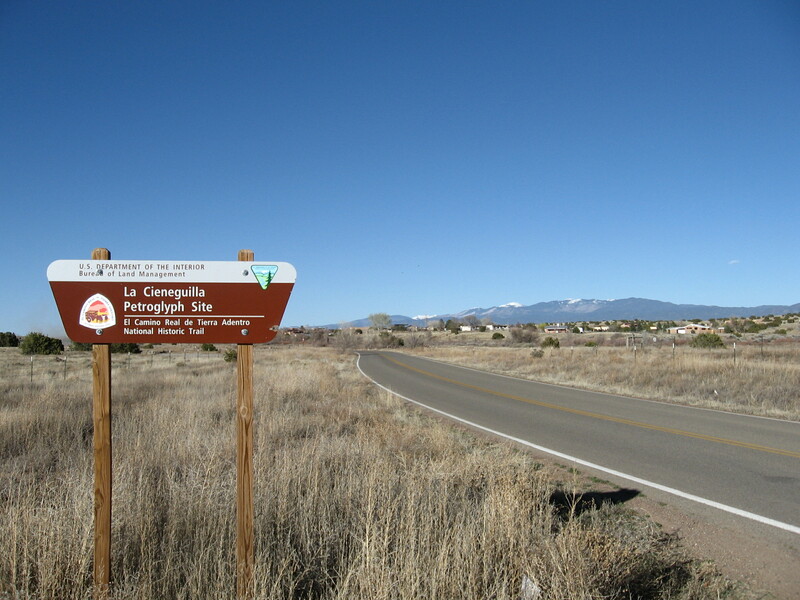 The Santa Fe Conservation Trust has a great toolkit for active transportation planning. 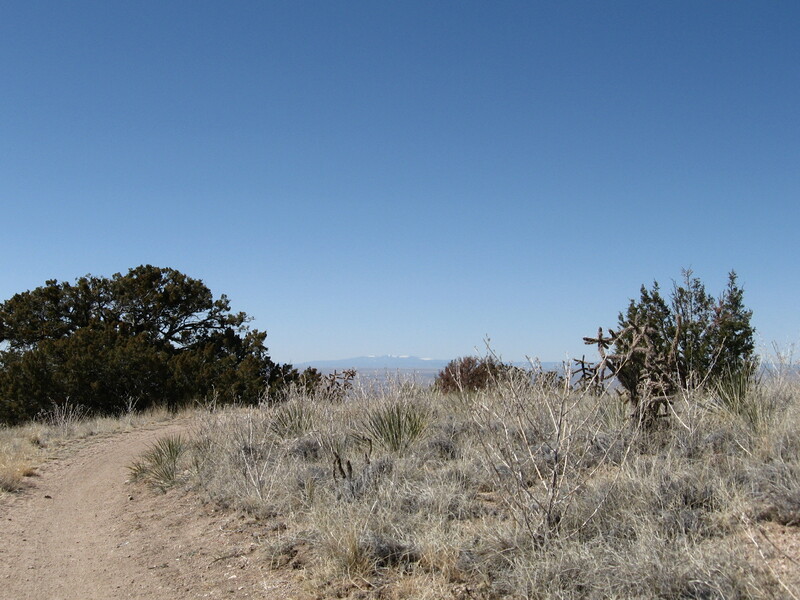 This entry was posted in Bike Org of the Month, New Mexico, Travel, Walking on March 30, 2015 by bikeyogiblog. Whenever I’m leafing through a publication and see an advertisement for a senior community, there always seems to be an integration of “active living” in there somewhere. This seems natural. Exercise is a positive factor in any lifestyle. From the beginning to the end throughout all the changes we experience in our lifetimes, the need for exercise is a constant. Ai-jen Poo discusses how we need to shift our value system and extend more care for the aging population on the Tavis Smiley show. As the baby boomer generation reaches retirement age we are going to experience a doubling of the population over the age of 65. Part of the preparation we can make for this change is to create healthy choices in our everyday mobility environments so people can easily integrate healthy activity into normal routines. We know we need to exercise when we are young to develop strength and coordination. And when we are older exercise helps us maintain and rekindle youthful energy flows. In the middle years we often take our health for granted, but if we exercise, we get feedback on our status and are reminded how lucky we are to be able to be strong and in charge of our own mobility. Active transportation is a unifier across generations. It is critical to adapt our everyday transportation networks to encourage, facilitate and support healthy mobility choices. The planning and implementation we do now to improve the walking and bicycling networks pays off for everyone. It is the best proactive investment people can make. The benefits are immediate and also show long term returns in all respects including social, economic and cultural. Exercise is uplifting for overall human well being. People bicycle and walk because it is healthy, makes us stronger, and is a whole lot of fun. It also helps improves the places that we live in. It is something we can share together. There are unexpected results too, such as increased innovation because of more face to face interactions and impromptu meetings while we are out and about. The jobs created for designing, building and improving the active transportation network are good ones, plus the product is one we can enjoy now and pass on to future generations as a positive legacy and inheritance. 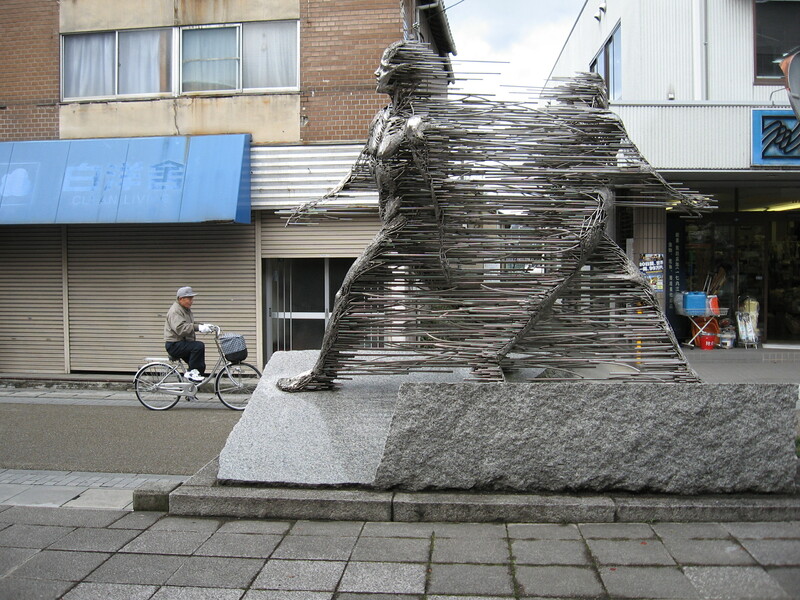 This entry was posted in community news, design, digital humanities, initiatives on March 26, 2015 by bikeyogiblog. 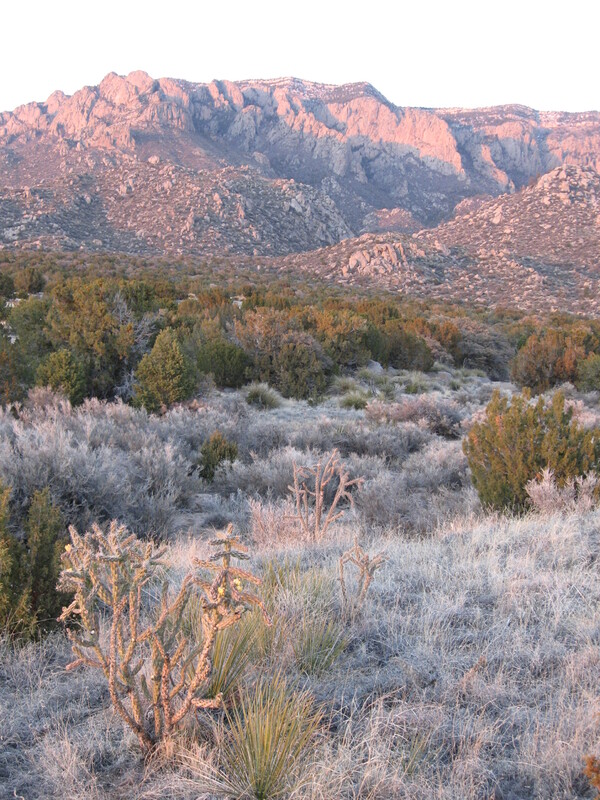 When we were considering moving to New Mexico it was 5150. But the people and place welcomed us. The character here is extraordinary. We are confirming this daily. 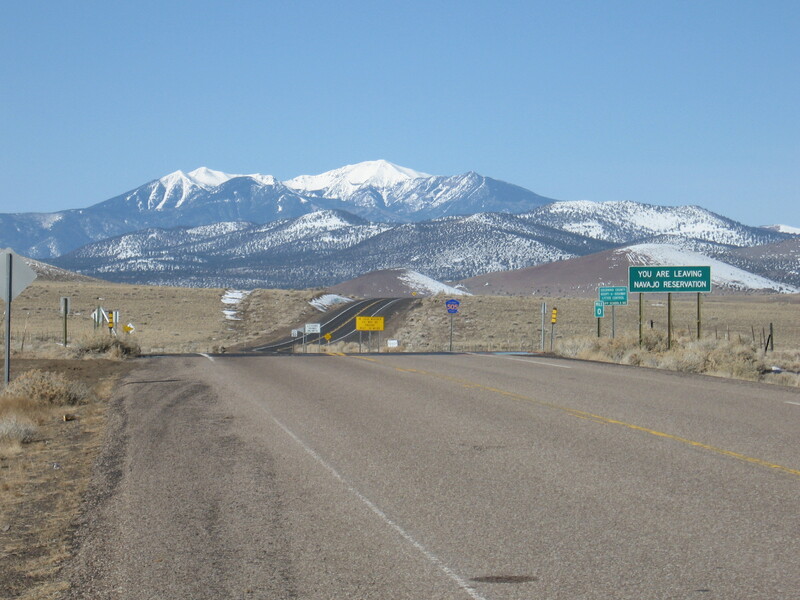 I was riding back into town today from my lunch ride and I had a green light at the intersection with 4 Hills Road from my westbound direction on Route 66. There were three cars lined up on eastbound Route 66 waiting to turn left across my lane to enter I-40. I’m moving at about 20 mph and am the only traffic in my direction. The first car turned left in front of me and had time to clear the intersection without interfering with my right of way. But that turning action screened the car behind from having sight lines to me. Once the first car cleared I wanted to connect with the driver of the second car to confirm that I’m visible. I raised my left hand above my head gesturing a big hello. The driver puts his left arm out his window and gives me the peace sign. 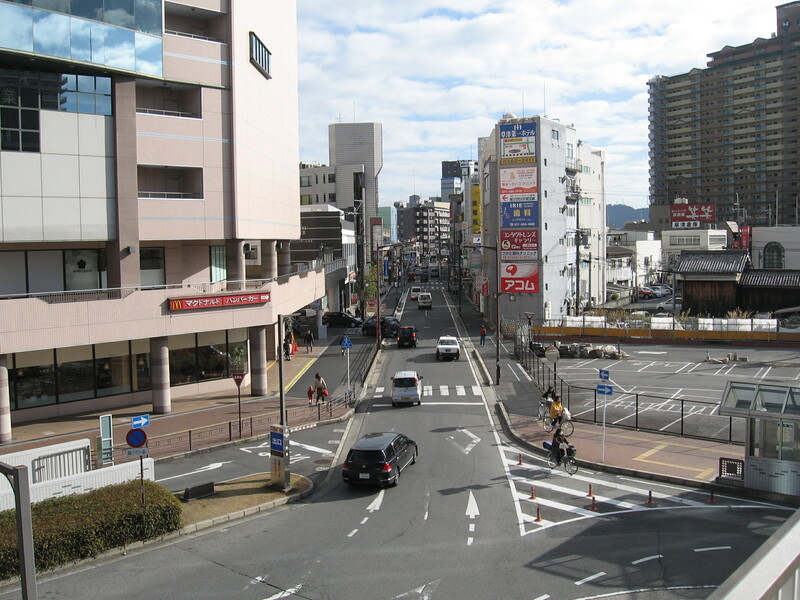 I pass on through the intersection knowing the driver sees me, but more than that, we recognize each other as friends. Country manners in a city. This type of connection happens regularly in Albuquerque. There is a basic fabric of human community here that is extraordinary. An ease of being and strong sense of place ground us. 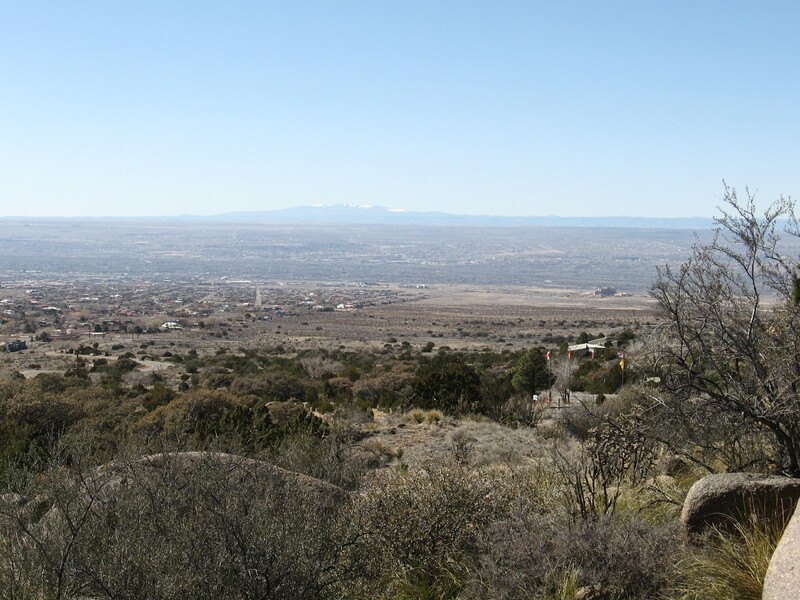 When we were looking at moving here I rode my bike around the Sandias. Climbing up Las Huertas on the narrow dirt road I had a driver of an old dented pickup flash me the peace sign and a smile as we edged by each other. 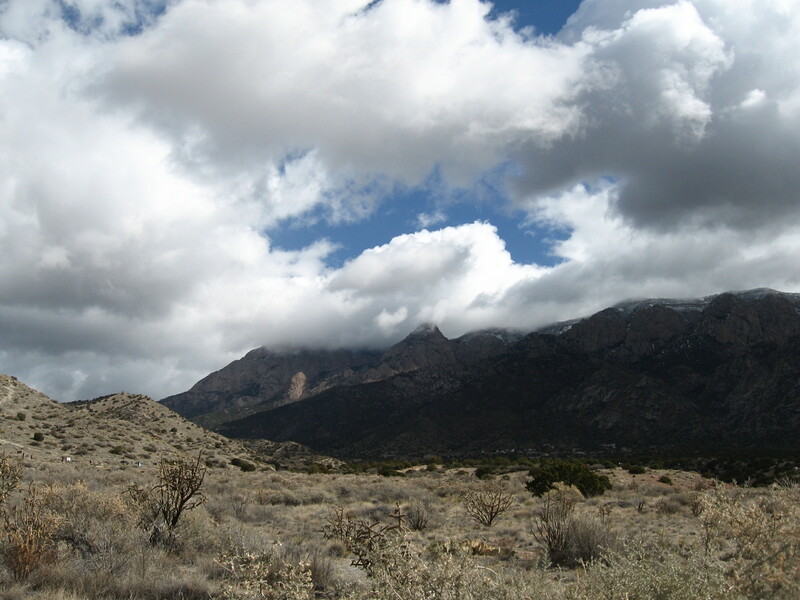 That was one of the moments that sold me on Albuquerque. The people do the marketing. Absolute genuineness. I’ve had a couple other experiences recently that reminded me that this is not your ordinary city. Today I met Jim on my ride as we overlapped paths cruising down Frost Road. Jim was riding a recumbent, the kind of bike you ride from a relaxed horizontal seating position. He had two Papillon dogs with him (the youngest named Jazzy), a ham radio, a go pro video cam, and other assorted equipment. It was neat meeting another person who views bicycling as a research platform. But the center of our conversation was health, physical, spiritual and mental. When you do a little bicycling and walking, it improves every aspect of life including social and economic. If only we would increase the valuation of living in the present in our society. Well, I think slowly we are regaining that focus. 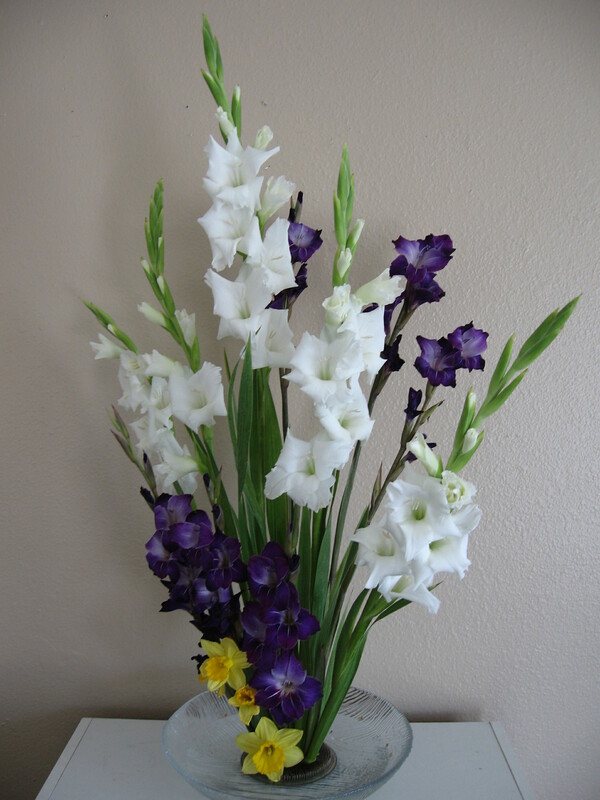 And if you check out Jim’s blog you’ll get some nice centerpieces for the discussion, along with true east mountain and Albuquerque flavor to savor. On Saturday, I rode with Dan to Bike-in Coffee on Old Town Farm. This is a farm that serves fresh local food and hot coffee on the weekends to customers that ride in on bicycles. 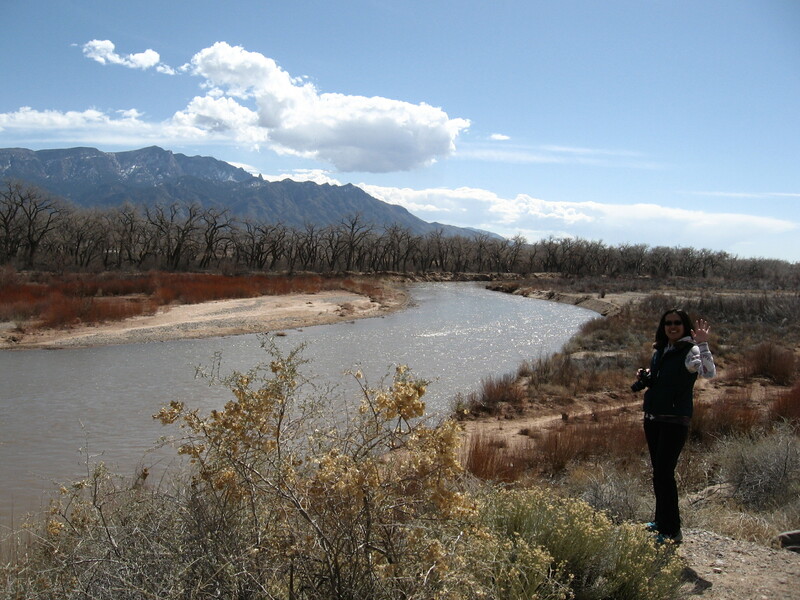 It is just a few blocks from the urban core easily accessible off the ever popular Bosque River Trail in Albuquerque’s central green belt. When we turned down the road entrance to the farm we cycled past two magnificent horses in pasture chewing on grasses. We leaned our bikes against a farm fence and had steaming cups of Kona coffee. Coffee before a ride is good, but coffee during a ride is exquisite. 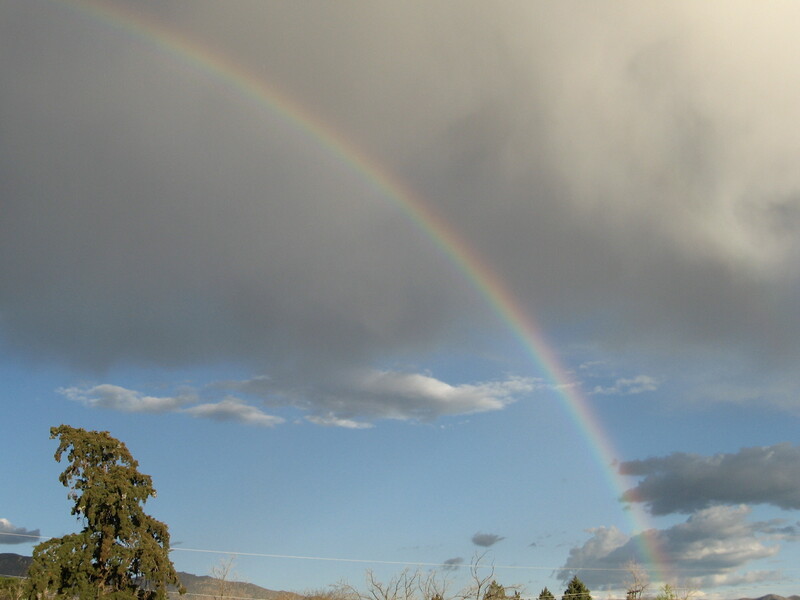 Especially when you have it with fellow cyclists on a farm open to guests on the first full day of Spring with cherry blossoms opening and New Mexico blue sky aloft. 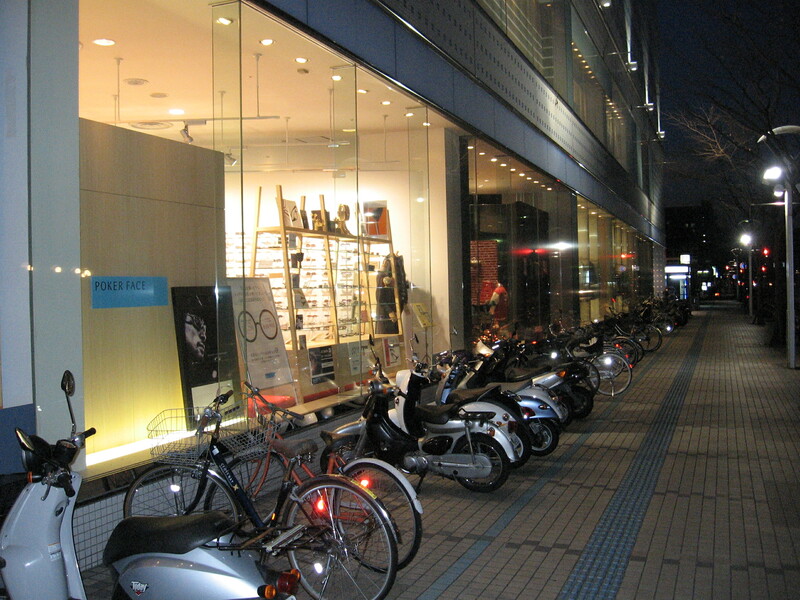 Bike-in Coffee invites you in to enjoy the finer things in life, which are quite simple. While we were there we ran into many nice people including Tim from Urban ABQ. Urban ABQ is an initiative advocating for a more vibrant city life including increased density, walkability and bikeability. Their blog is one of the harbingers of the economic recovery happening here from the ground up. It’s all about bringing the good energy in the people and place together creating a blueprint for a strong and lasting foundation. 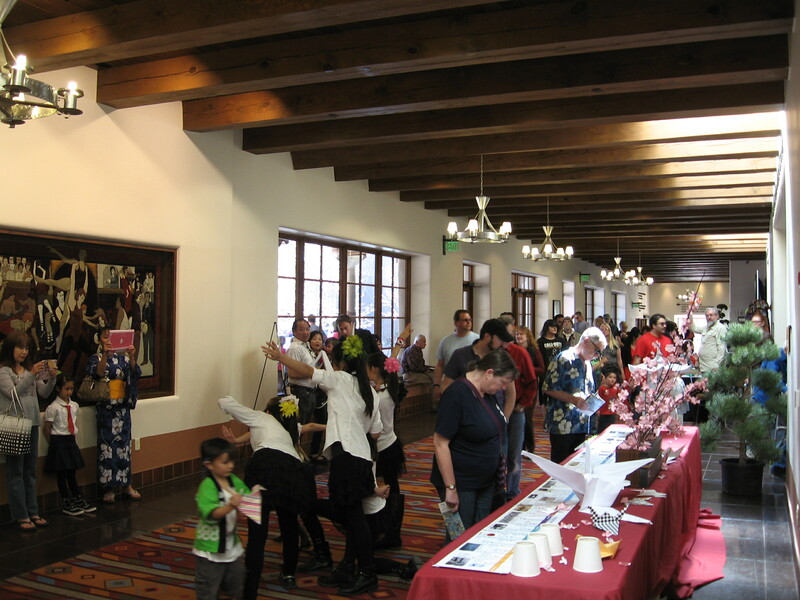 Urban ABQ builds collaboration with downtown businesses, residents, urban planners and elected leadership and develops teamwork centered on common interests to the benefit of the entire city and State. They put on the first CiQlovía, an open streets event that invites people out to experience their city in an up close walking and biking setting. 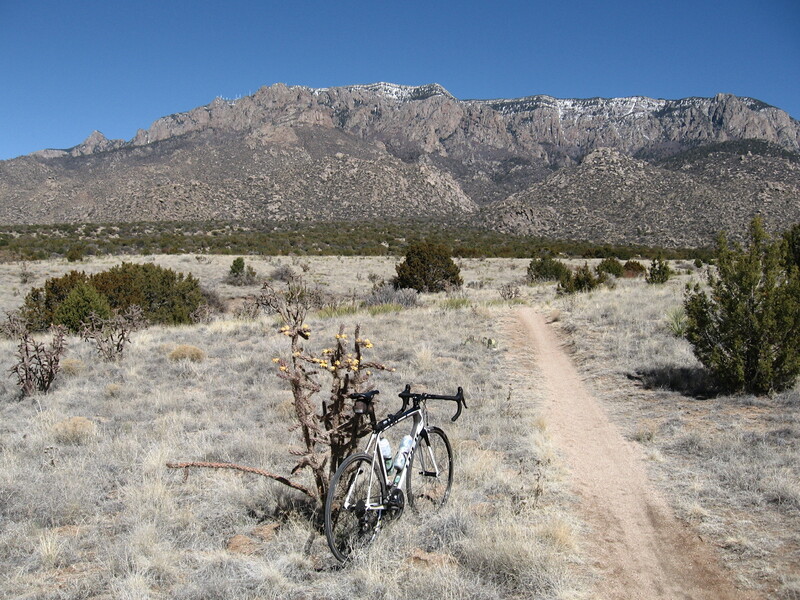 This entry was posted in Albuquerque Bike Culture, Everyday Rides on March 23, 2015 by bikeyogiblog. 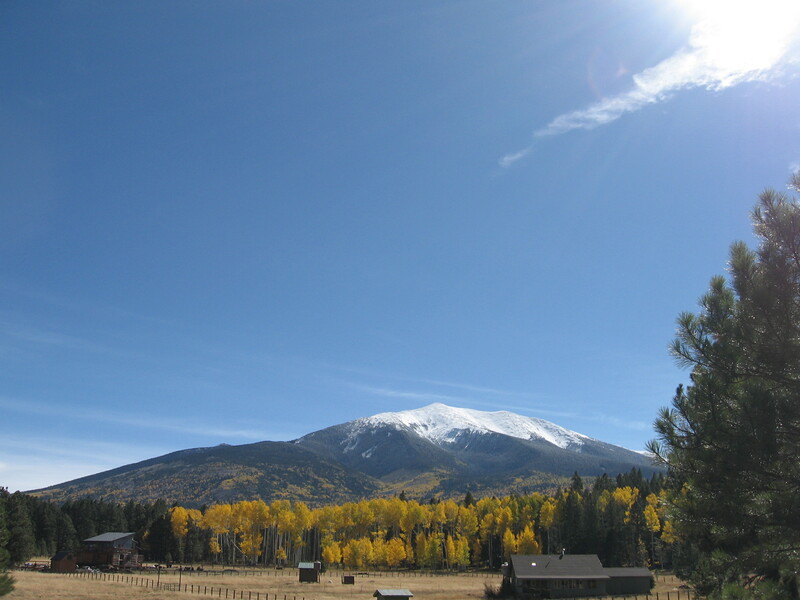 The San Francisco Peaks towering above Flagstaff are a big draw. 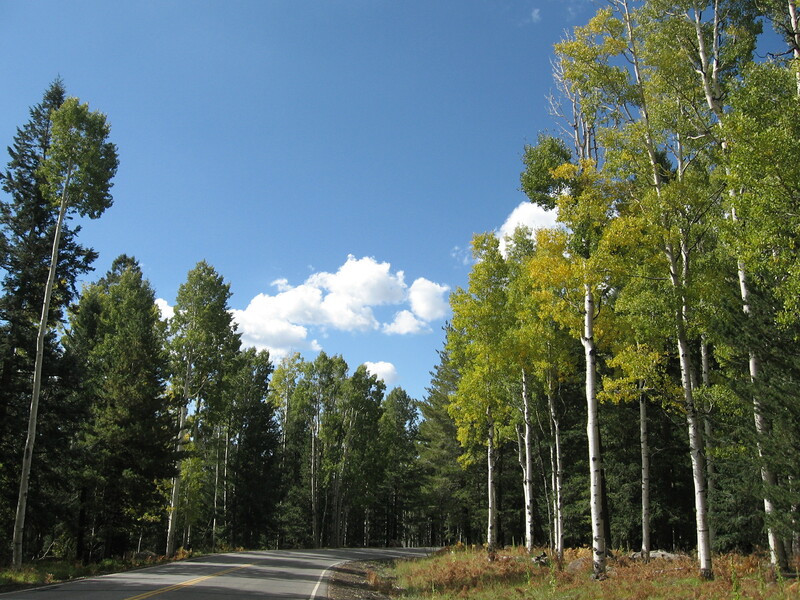 We moved to Flagstaff in 2004 when Mai enrolled at Northern Arizona University. We spent ten years there. We were married at the Grand Canyon. Special place. I remember our first visit. 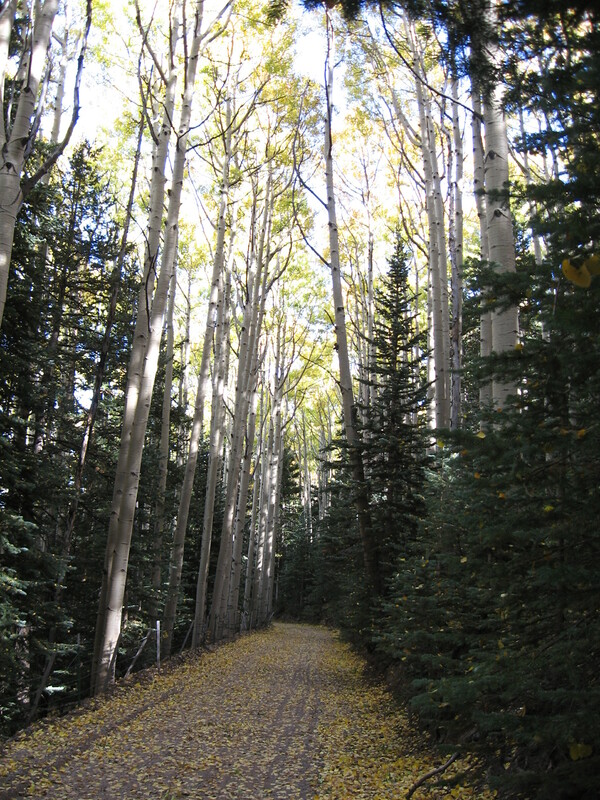 Aspen groves and views of the Grand Canyon from Snowbowl Road impressed us, but the forest road around the back side of the Peaks sealed the deal. 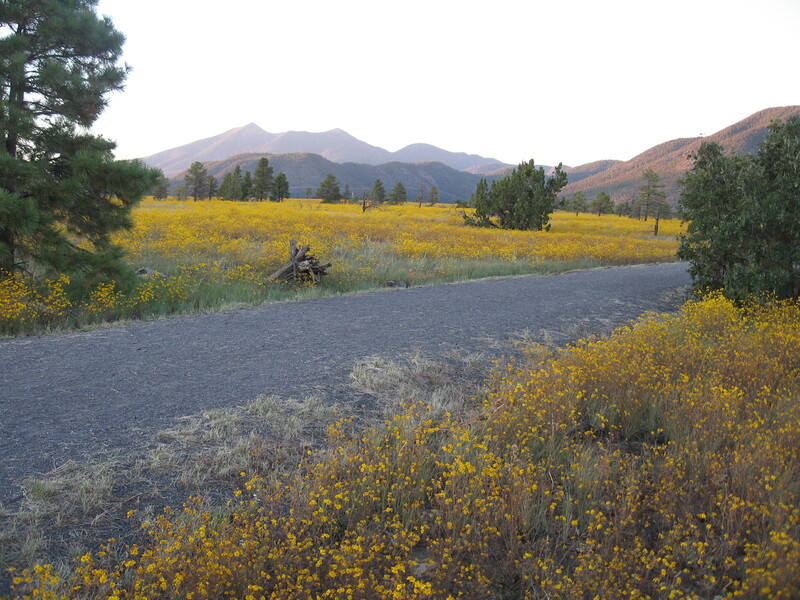 Flagstaff is a great place to raise a family on bicycling. 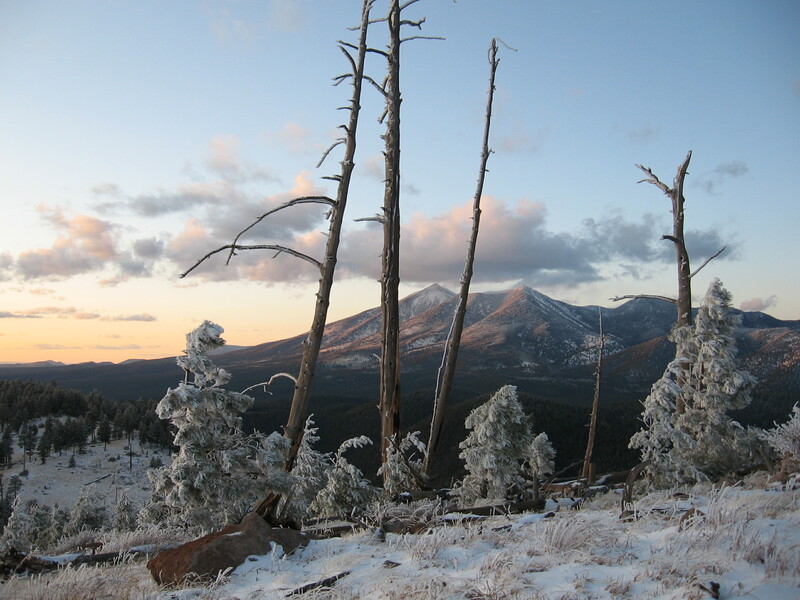 At 7,000 feet above sea level Flagstaff is a healthy and stunningly beautiful environment. The atmosphere shimmers with perfectly clear, distilled light. The sun’s press on the skin is intense. 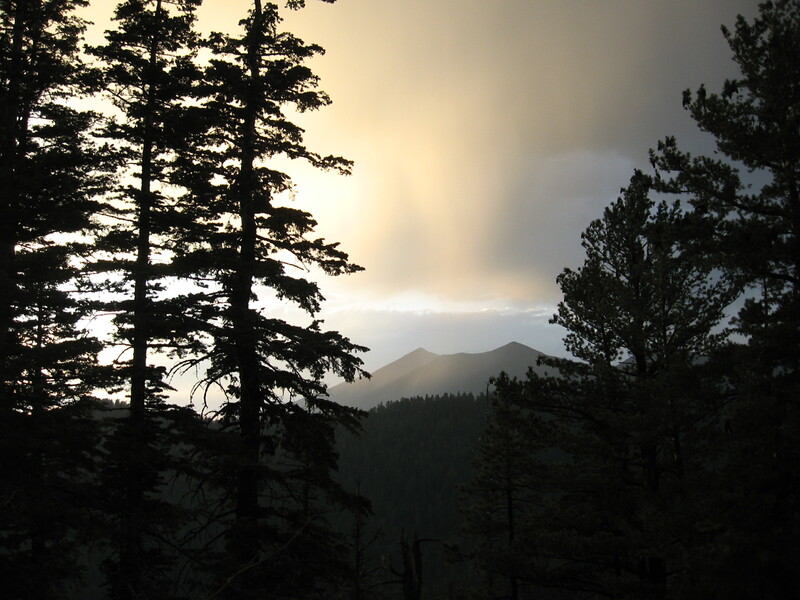 Mountain storms bring deep snows, heavy rains, crackling lightning. The milkyway swirls in luminous bands across dark night. The water is cold and clean and the air is delicious. I met so many people bicycling in Flagstaff. I met as many people through cycling as I did through working at NAU. Those communities, work and bike, changed my life. 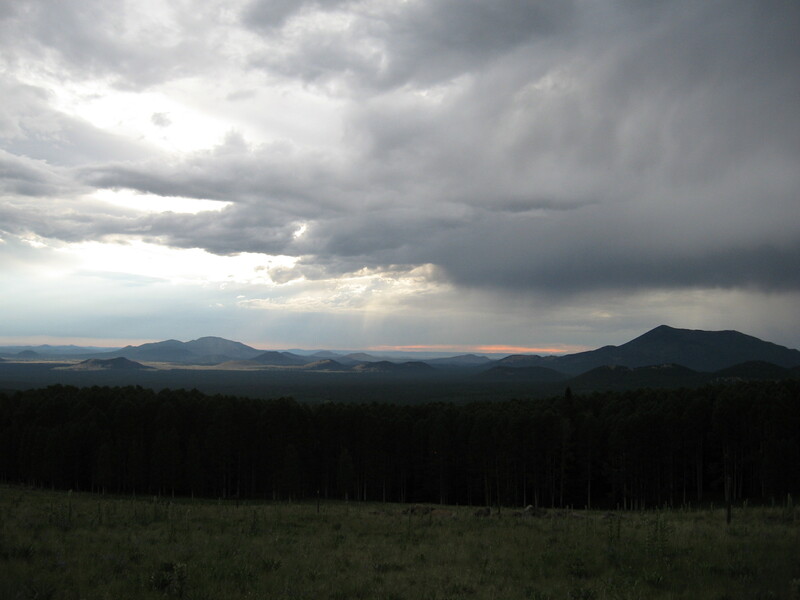 I met many quiet leaders in Flagstaff, remarkable people, who were not in high positions but lived extraordinary lives. Real leaders inspire by example through the conduct of their own affairs. The three main road bike rides are hard to beat. 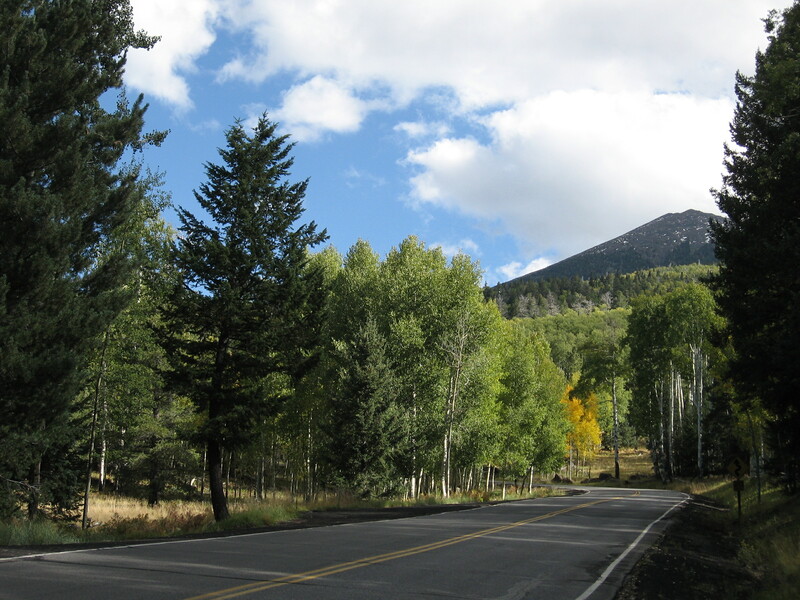 The alpine climb up Snowbowl road is just seven miles out of town by Hwy 180. 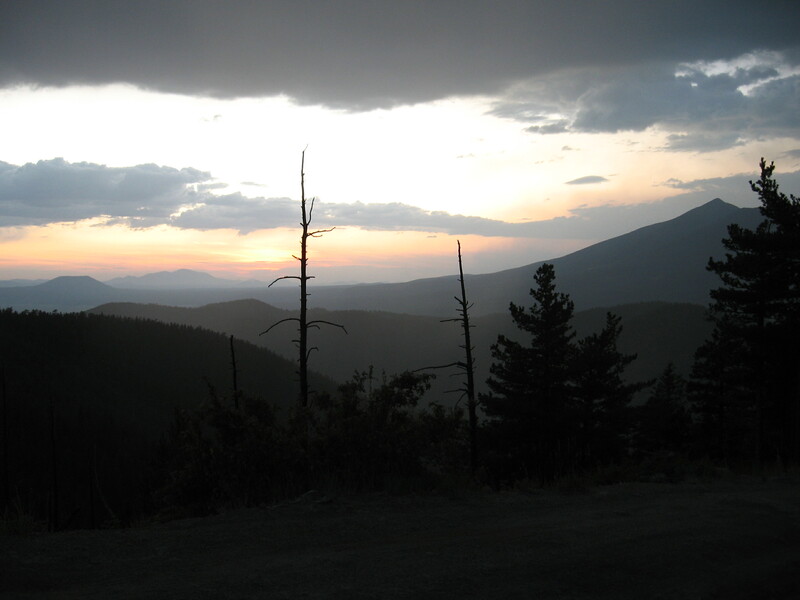 I could ride out of town and be up above 9,000’ and home again in about two hours. I liked that. The road by Lake Mary is one of the best rides anywhere. Take it as far as you want to go. I rode it on my lunch break or after work and every Saturday on the group ride. 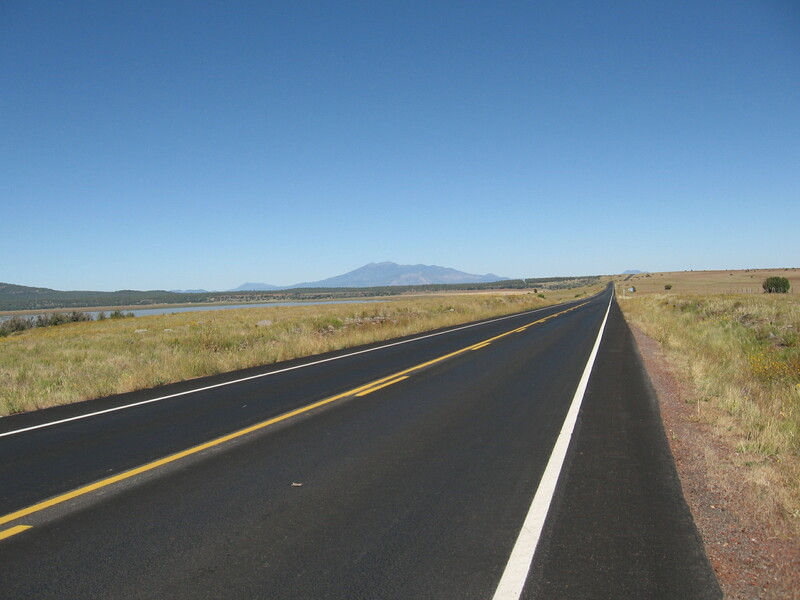 The long road north into the painted desert to Wupatki is world class and the slow undulating climb back on the Sunset Crater loop road is relaxing and beautiful. Rides and races through that cinder marked landscape etched indelible memories. 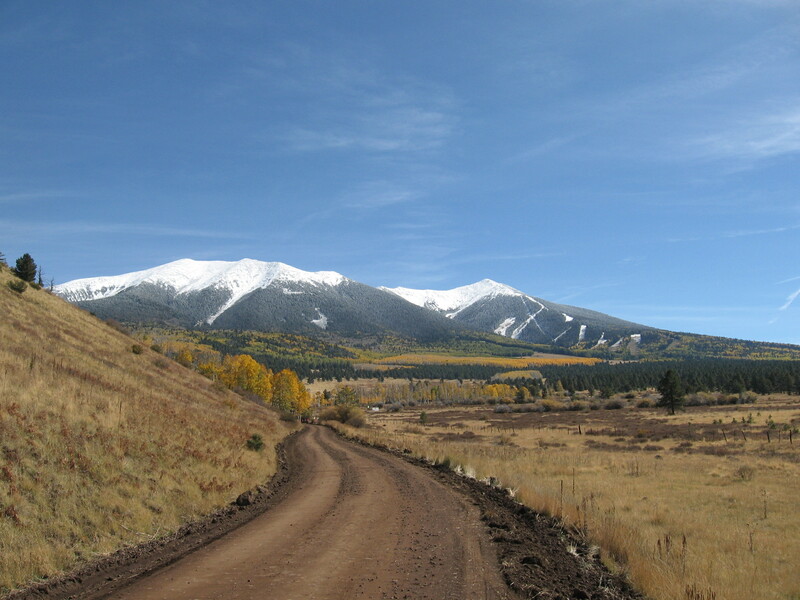 The mountain biking in Flagstaff will blow your mind, but winter limits it to six or seven months. 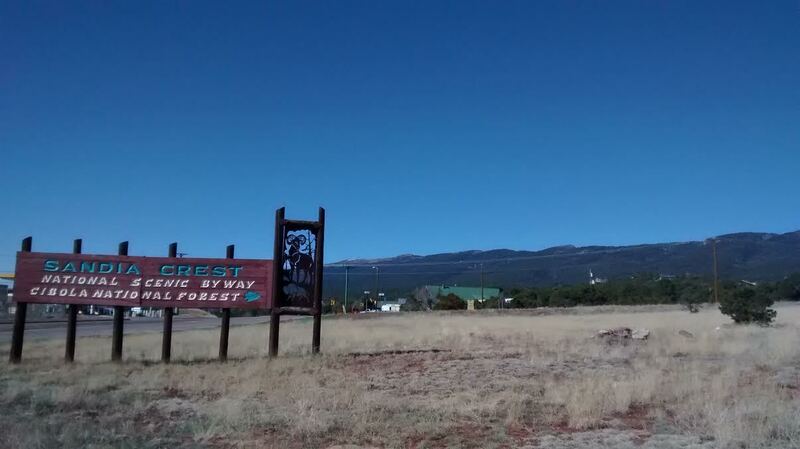 The city is encircled by national forest public lands and you can bike out of town in any direction in literally a few minutes, a few city blocks. Some of the most accessible riding around. 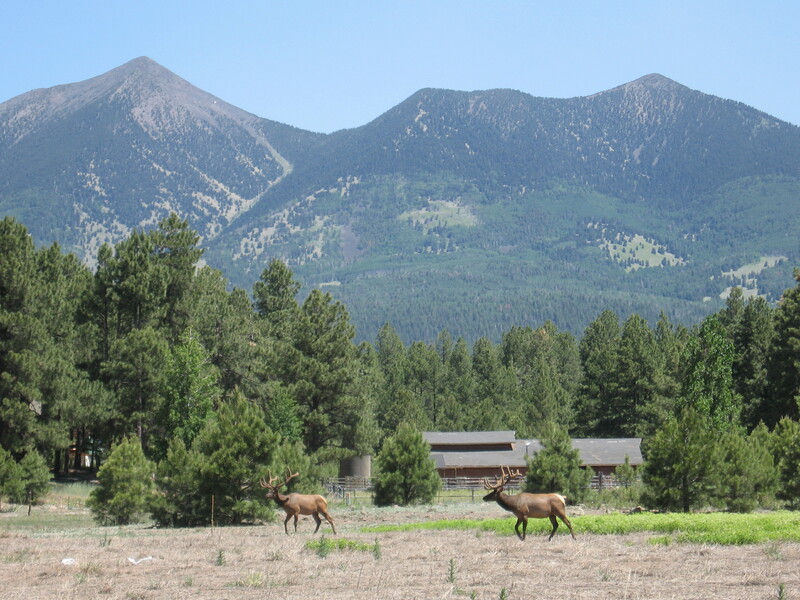 You get into the woods and realize right away there are probably more elk than people there. 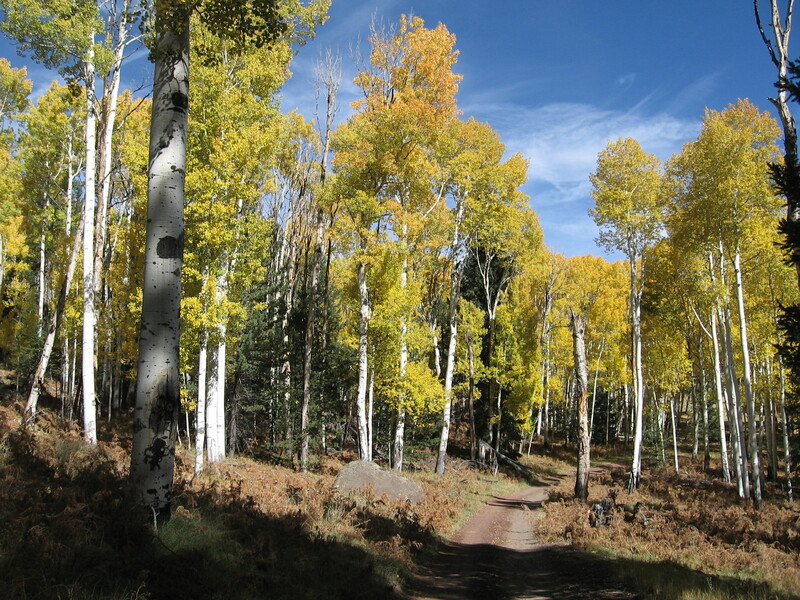 During the winter months you can ride in Sedona and the Verde Valley. Or you could go to Phoenix or Tucson and experience shorts weather any month of the year. 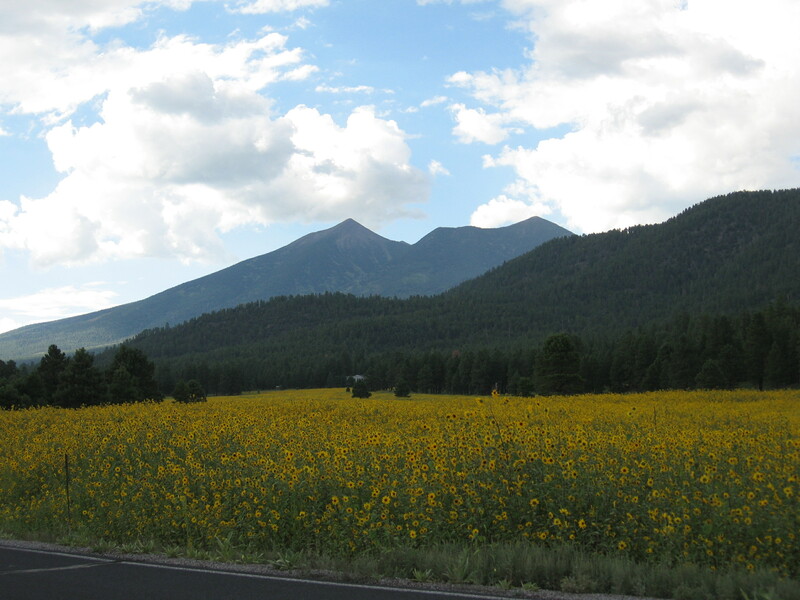 There’s no doubt about it, Arizona is a unique amalgamation of unmatched cycling and Flagstaff is about as good of a place to live and raise a family that I can think of. We are thankful to have spent ten years there. 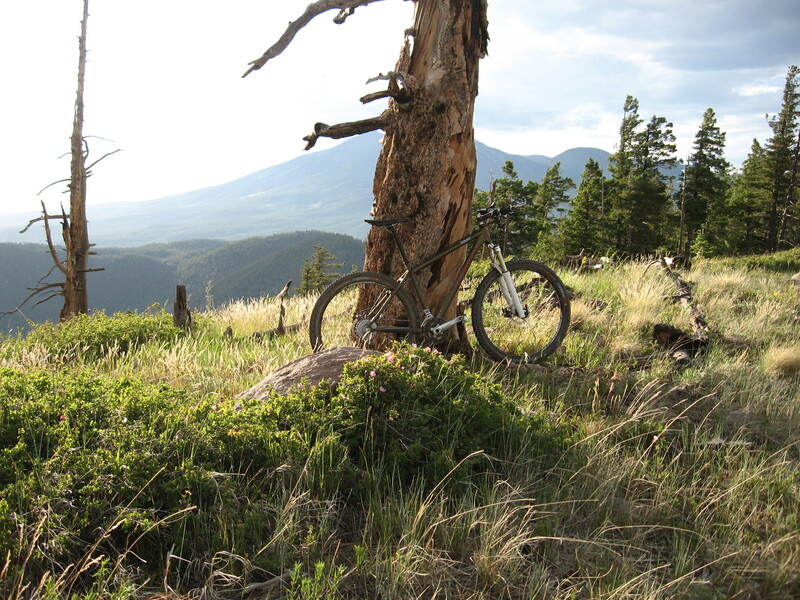 A secret place yet to be discovered, best revealed pedaling two wheels. 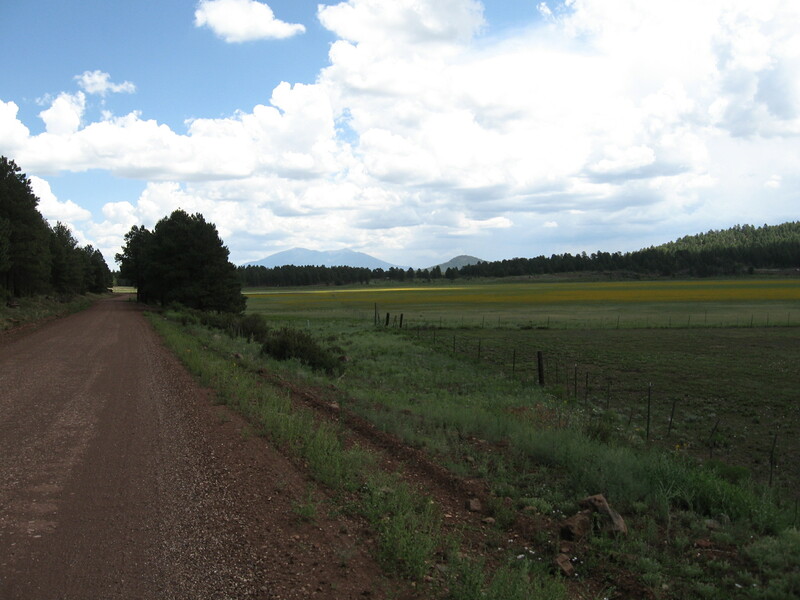 This entry was posted in biking Arizona, Flagstaff, healthy roads, Landscape, Uncategorized on March 13, 2015 by bikeyogiblog. 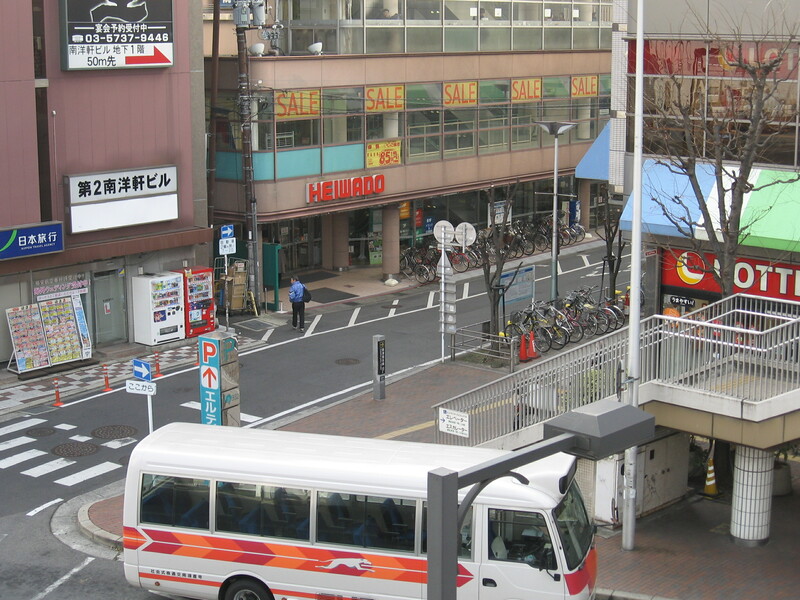 Japan does a fabulous job integrating rail, planes and automobiles with neighborhoods that are full fledged mixed use developments and designed around the basics, walking and bicycling. It’s nifty. Here are a few images and observations from past trips. More to come. 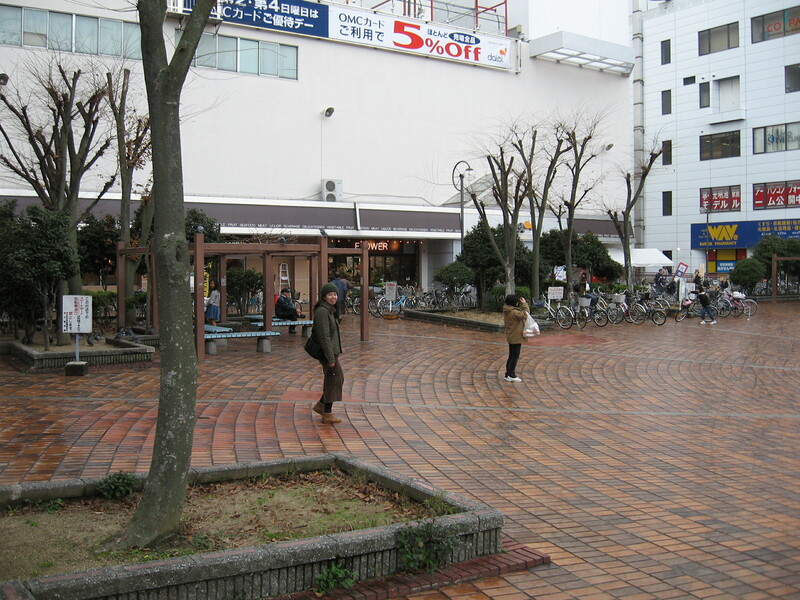 In Japan you see people walking and bicycling everywhere. All the school kids go that way, and you can take the train just about anywhere to connect to places further away. Lots of business people ride in the city carrying their brief cases all dressed up. Everybody walks and rides. 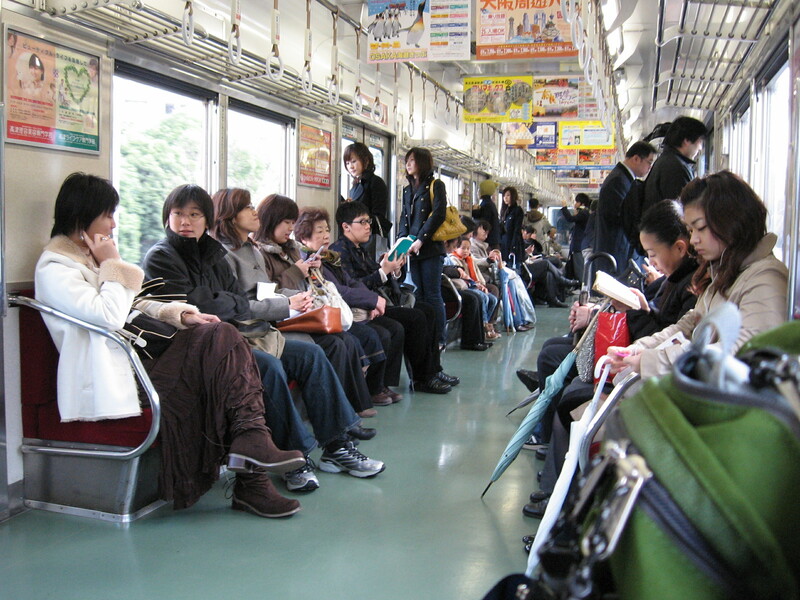 For longer trips mainly we travel by train in Japan. You see a lot from the train. You can focus on the countryside as it spools by your window. Train time is also good for reading, having a chat, or snoozing. The operators wear formal uniforms and conduct affairs with supreme dignity and precision, so it is easy for me—a notorious control freak and “back seat driver”—to lean back and relax. Unlike airplanes when I glance out the window at the engines to see if they are still attached to the wings, on the train I do not worry. 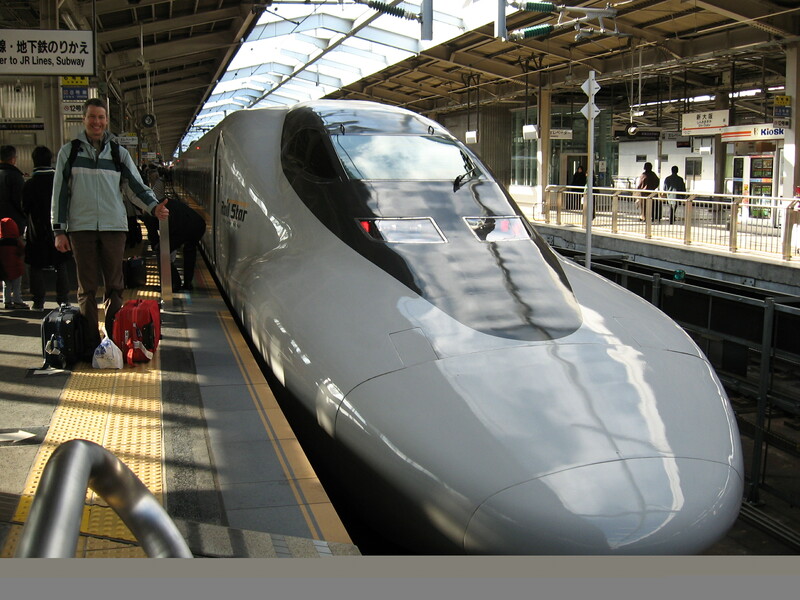 the fast trains are called Shinkansen. Flying on rails. You don’t feel fatigued by the journey. A very smooth way to travel. 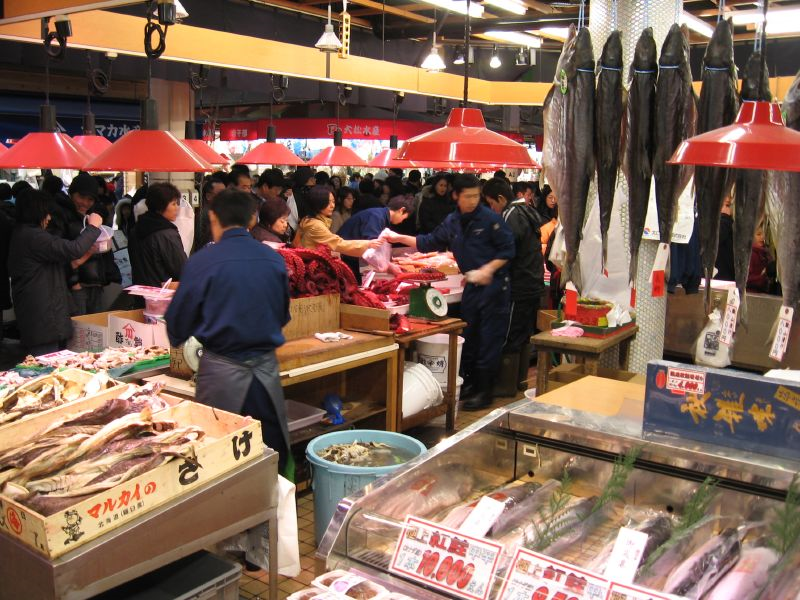 In coastal towns, which is where most people live, daily seafood markets team with people. 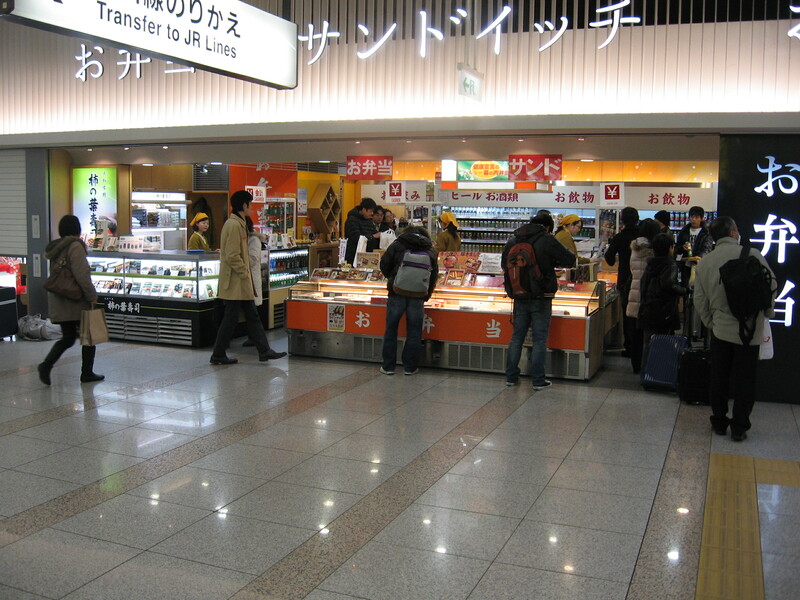 Japanese want to eat fresh food. Whereas American farmers markets happen seasonally and perhaps once weekly, in Japan they do the trip to the market just about every day. Fresh and delicious eating. They wouldn’t have it any other way. Very particular and sophisticated society. 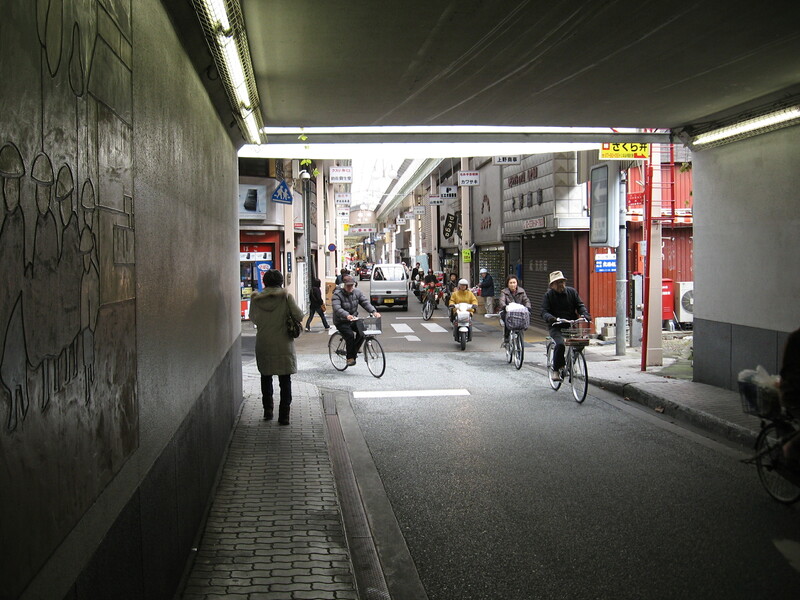 I have done a lot of walking in Japan but rolling on two wheels will be different. Bicycling has a way of opening up the world and connecting people. I’m in my element riding a bike. Eating, traveling, meeting people, learning language, seeing places, laughing, bicycling. The mountain roads in Japan are incredible. I hope to get some climbing in and sample the flavors of riding. 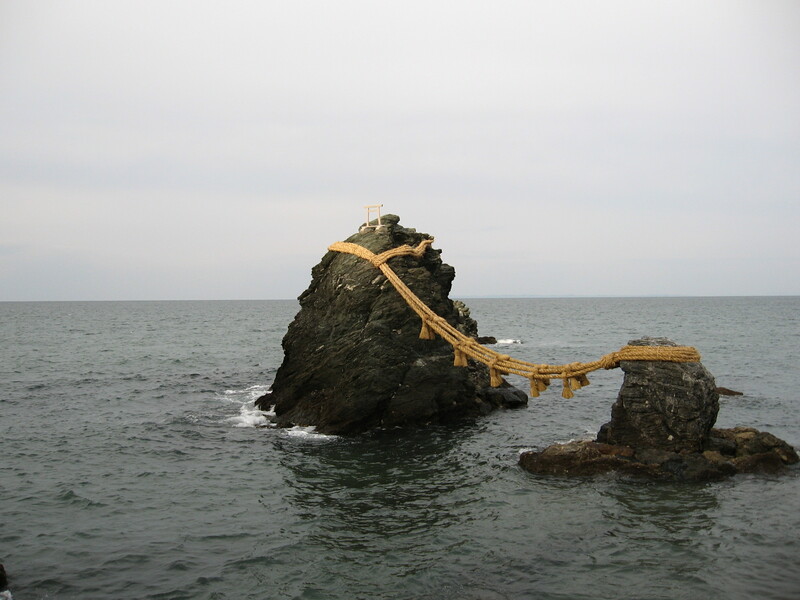 Japan is beautiful. 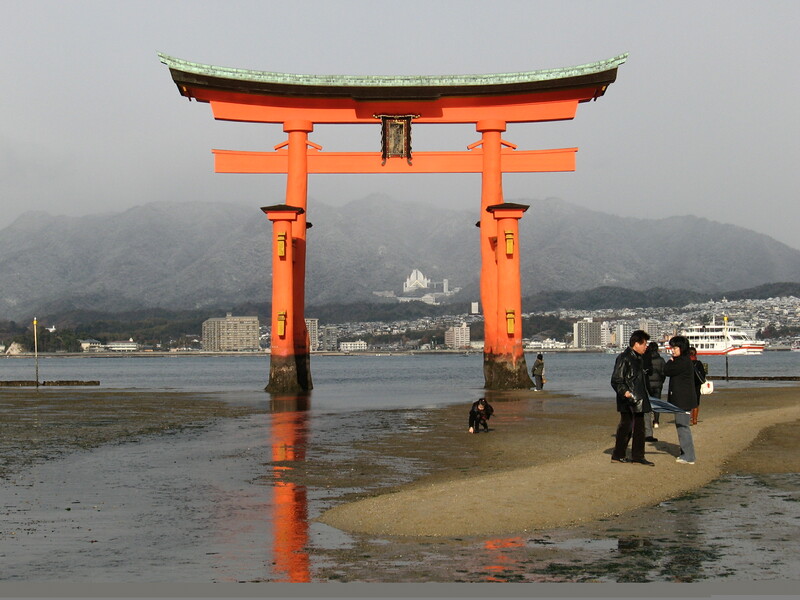 I’ve visited Japan five times but have not bicycled there. Mai and I are preparing for a trip this May and I’m planning to ride there for the first time. I will be writing about and documenting the trip with photographs to convey a sense of what it is like. 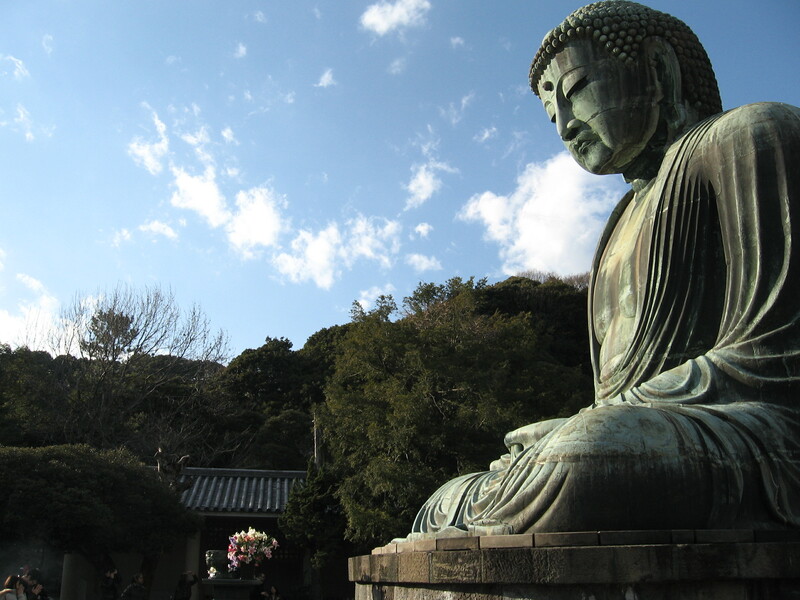 This entry was posted in Travel on March 12, 2015 by bikeyogiblog. An English professor who bicycles once told me he did his recovery rides on the mountain bike. That’s been ringing in my head ever since. Mountain biking bounces you around a little bit and it is not as easy to get a smooth spin with your legs as it is on the road, so the road ride is the normal recovery choice. But the thing about going off road is you soak in the sweetness of the vegetation and the tone of the soils. Relatively motor free. Clean air. Softness. It is relaxing for your mind and can open up your spirit. I’ve been finding myself gravitating towards the open spaces above the foothills on some of my easy days. Riding to city’s edge and then going further up on the hard packed granite based trails with 25mm tires turns out to be a fun choice. 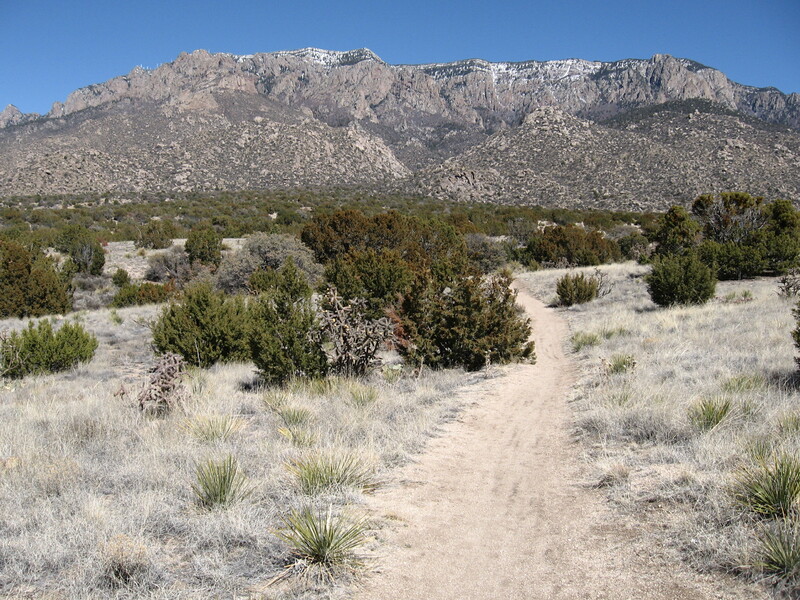 this trail was the gateway for riding my road bike on singletrack. 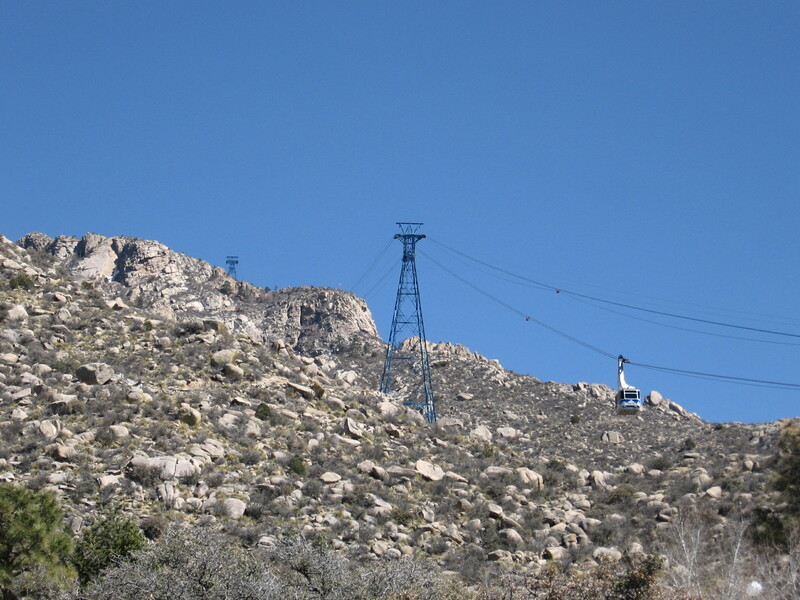 It connects between the Glenwood Hills and High Desert neighborhoods between which there are no paved roads above Tramway. 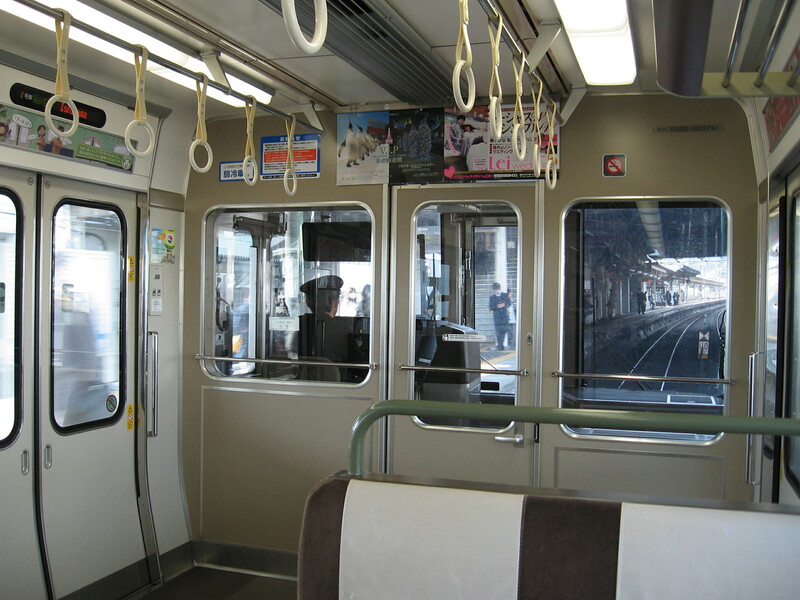 Tramway is good but can be busy. 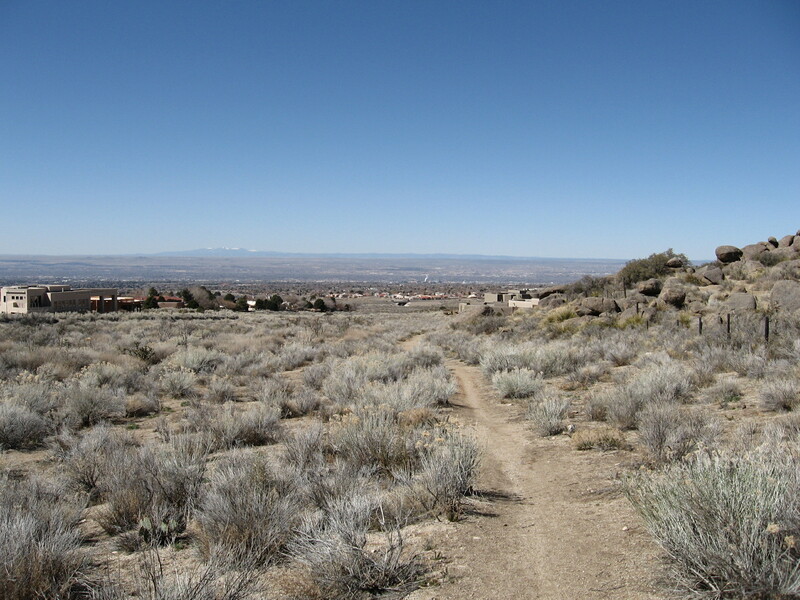 The foothills trails involve some climbing too, and occasionally I get lost, or drawn into going further than intended, so it is not perfect recovery. 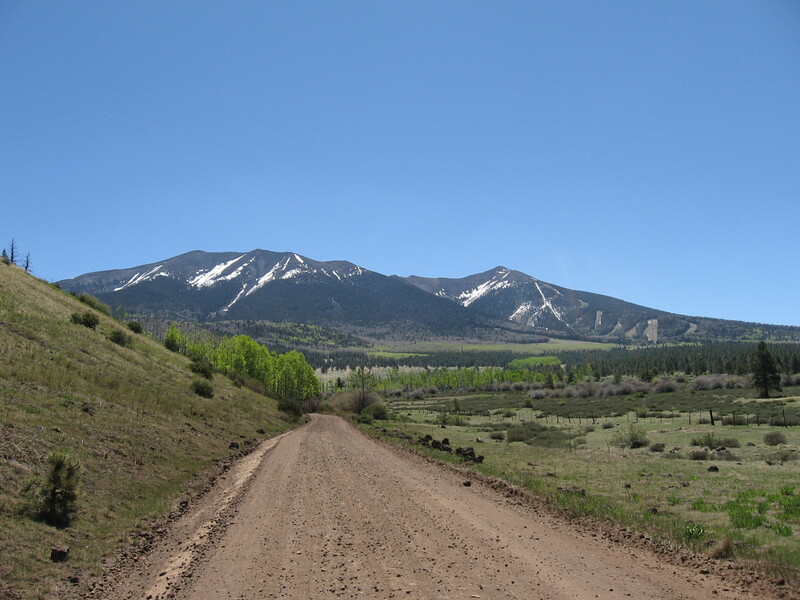 My dirt road recovery rides can leave me tired and needing more rest. But very satisfied. And I must say satisfaction is the bottom line for long term success in bicycling for me. I may be a little bit tired but I’m going to ride. Plus, during back to back races or in longer stage races, I know what to expect. I don’t feel like anytime I spend riding is wasted. I was reading about 59 year old legend Ned Overend and the science and art of riding strong into your middle age. There’s some great points in Ned’s article regarding quality workouts and the importance of rest. I try to assimilate and apply the best advice that stands out to me. He mentions he’s selected the “right ratio for [him]” and I think that is key for all of us. Learn about how we operate as individuals and do the research so we know there are choices, and have the courage to experiment and try something new. Ned reminds me of a bicycling Ralph Waldo Emerson. Know the world but to thine own self be true. Mostly I stick to what works, which is just enjoying time on the bike and cherishing pulling the world in through my experiences on the bike. Today I saw wild turkeys. Often times I meet people. I get some thinking and reflecting done. Study places. And most of all when I return from a ride I feel like I have lived today. the base Tram station flying the flags below. The 365 trail ends there and I took the road back. 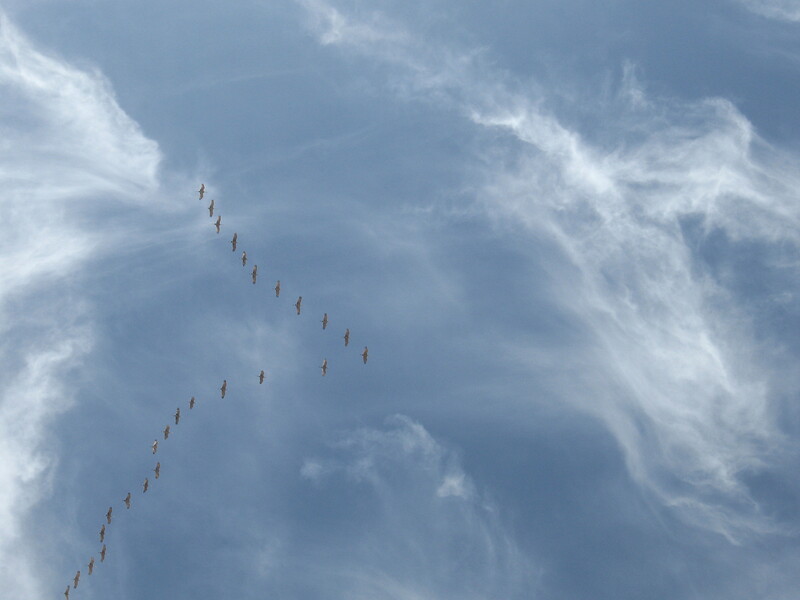 You see a lot while out riding and it is an engaging way to observe the world. I feel good when there is an element of adventure in the ride meaning I improvised and wasn’t sure where it would take me. You realize something about the extent of your own powers through facing uncertainty. No matter how humble our output, when applied with diligence you can take yourself a long way, especially if you’re not afraid of getting a little tired and dirty. Ned’s gonna beat you no matter what, and he’s been riding so long he knows all the trails. So I figure I better find my own way around and enjoy today. And spend more time exploring by bike always remembering that my job is to build the receptivity and courage to listen and learn. This entry was posted in training, Uncategorized on March 11, 2015 by bikeyogiblog. 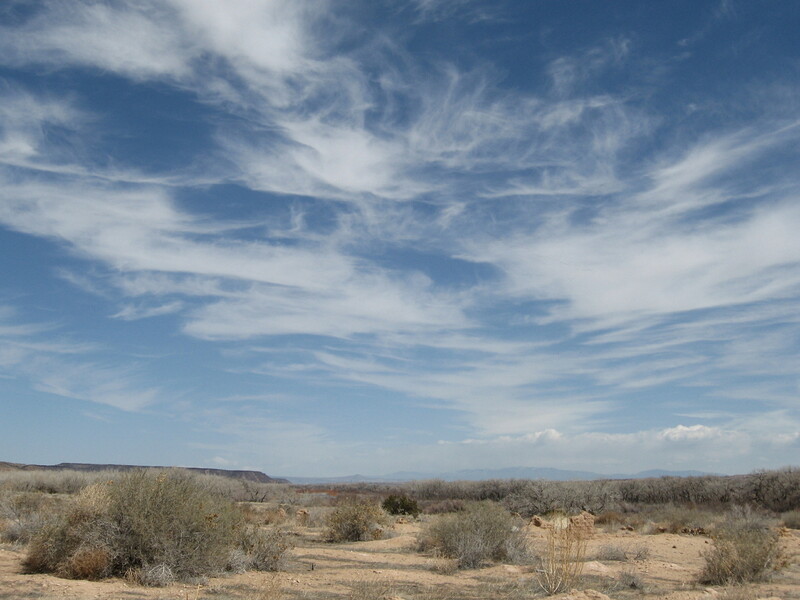 When we took a day to explore on Sunday our first stop was Kuaua Pueblo. 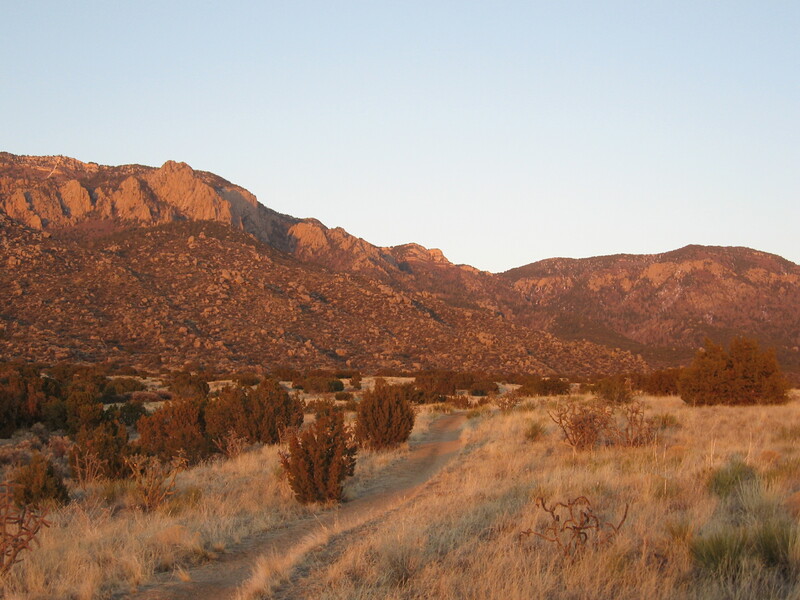 Located about 15 minutes north of Albuquerque in the small town of Bernalillo, it is just off Highway 550 which runs to Farmington, Durango, Silverton, Ouray, and Montrose. 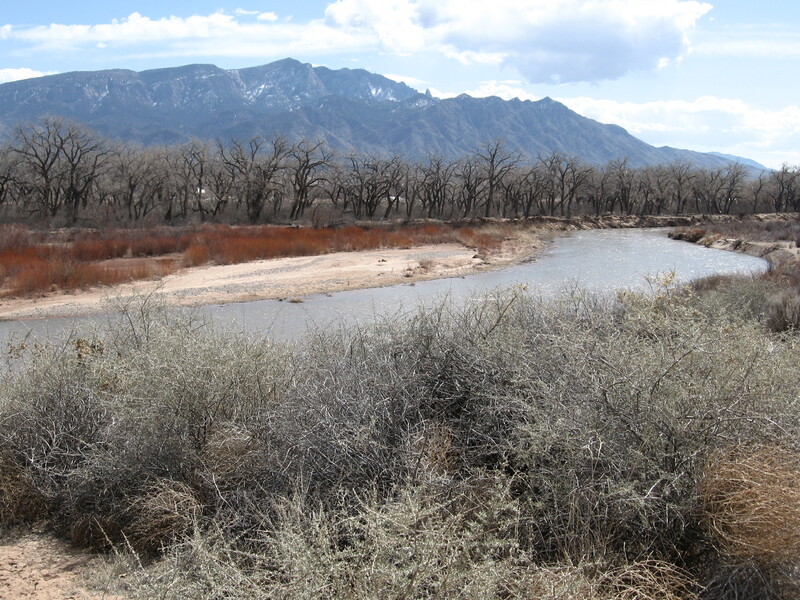 When you cross over the Rio Grande heading west through Bernalillo you turn right at Coronado State Monument and enter a quiet oasis on the western slope of the river bluff which was once occupied by the Tiwa speaking people, whose ancestors live in pueblos across New Mexico. 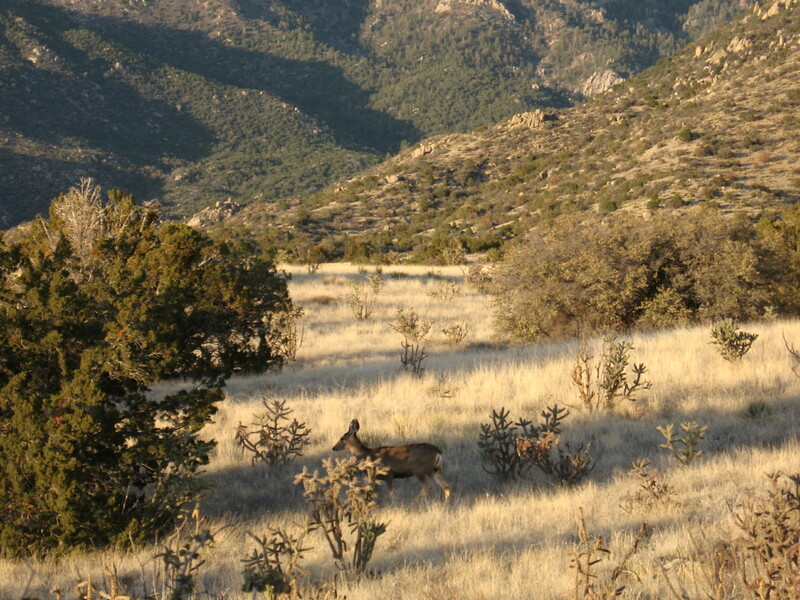 Kuaua is the modern name for this site where the Spaniard Coronado encountered the Puebloans around 1540. Kuaua (pronounced kwah’ wah) means ‘evergreen’ in Tiwa. 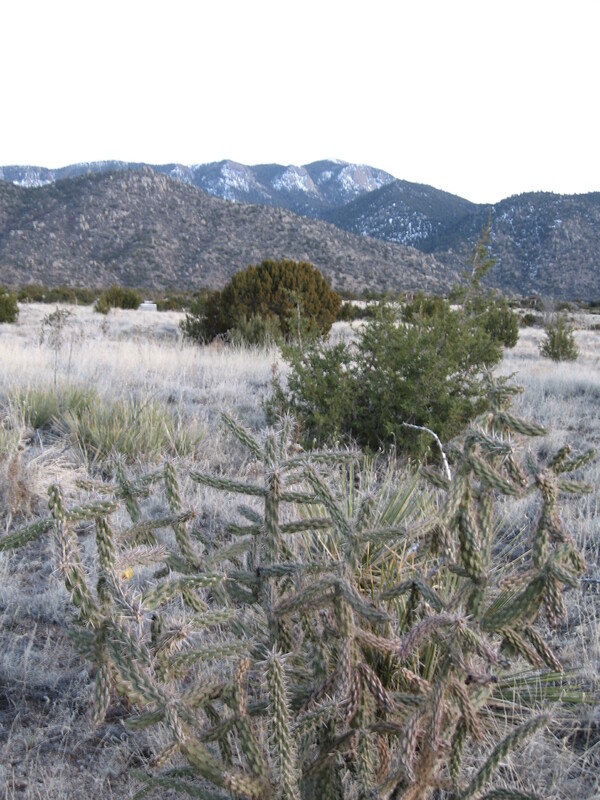 The One-Seed Juniper tree is an abundant evergreen in this vicinity and has many uses from food to medicine to building material, on top of just being a good presence in itself and being a part of the whole ecosystem. One of the astounding things is how peaceful it is on the river once you get off the highway with all the retail shops, food joints, hotels, gas stations, etc lining it. What a contrast. 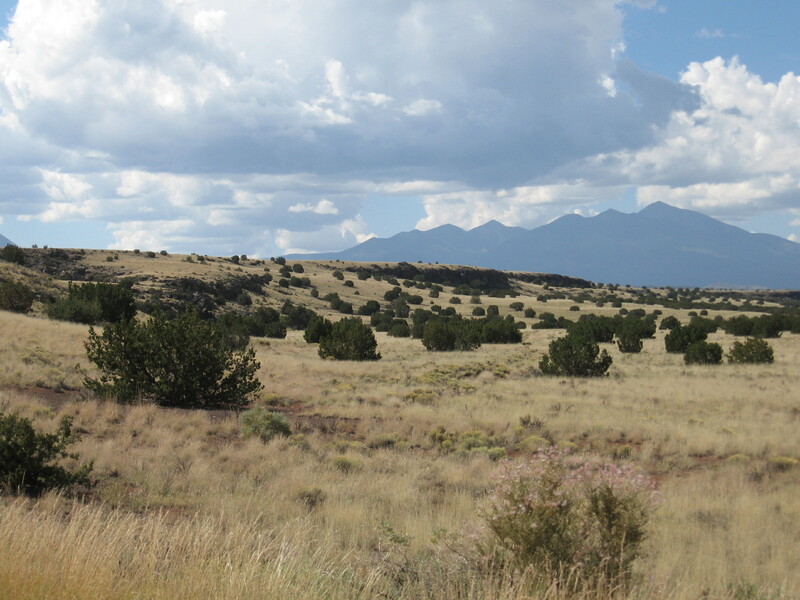 Just west of the property is a golf course at the Tamaya Resort, but that is a quiet activity. I was excited to be somewhere different with much to soak in as far as natural ambience. Communicative park staff shared with us the cultural history of the original settlers in this land through story, exhibits and tours of the remnants of civilization found here. It is mind boggling to think that this is a continuous culture. There is much to learn, many different ways to relate to place. 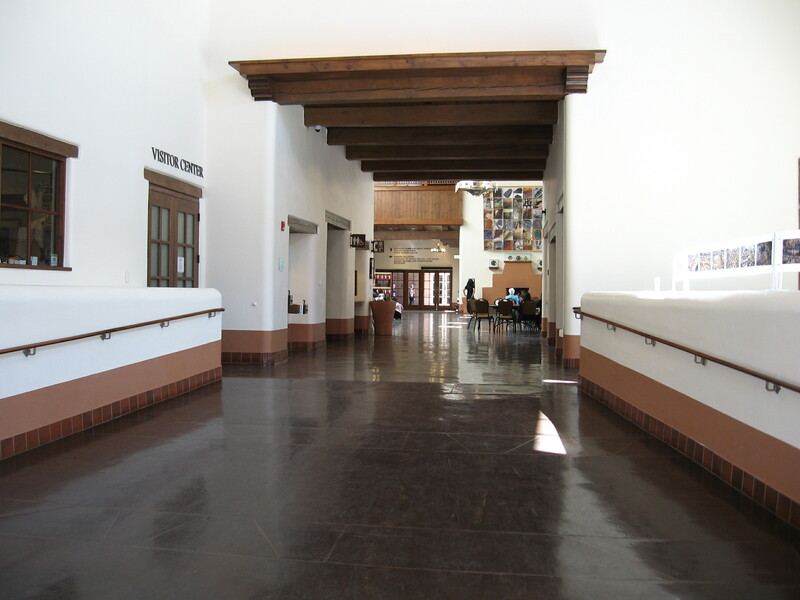 John Gaw Meem designed the visitor center in the pueblo revival style, to invoke the past with creative eclectic configurations. There’s some beautiful woodwork trim and an elegant porch. I could hang out here all day. The neatest part of the day was to walk into the Kiva and view the murals while the interpretive guide told narrative stories. The inhabitants would draw the cosmology and symbols to teach generations about culture and heritage and the way through the world. 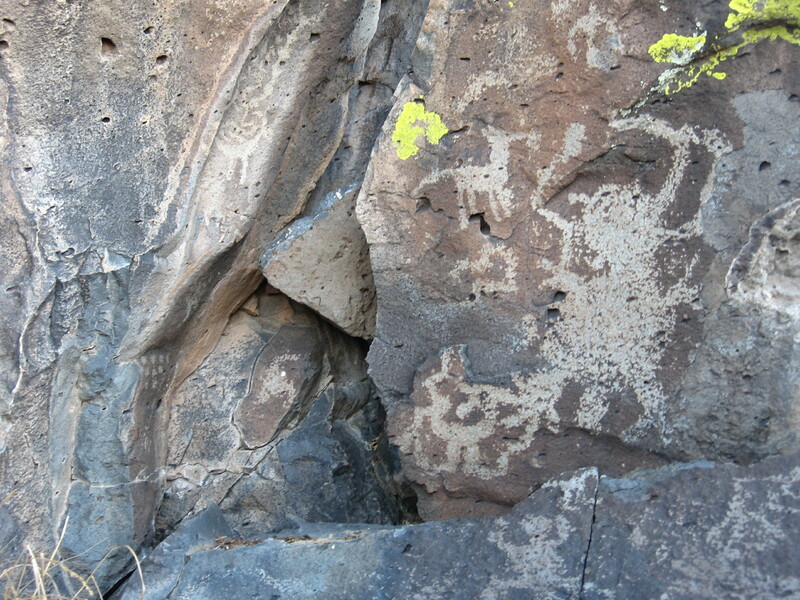 There were 17 layers of murals found in the kiva so it might have been like a chalk or white board where instruction and story telling was an ongoing part of a living culture, progressing forward with wisdom from the past. The Pueblos share some of their current culture through tourism to their Pueblos and through the sharing of select ceremonies. I am filled with awesome respect for their traditions. What I know is just a little speck in the human mosaic. A round world means we get to meet each other and learn as we open our hearts and minds and develop the will to listen. Walking around here was the perfect recovery activity. This place is rejuvenating. Mai helps me relax and take time to enjoy things. We had a picnic on the riverbank and watched a family play with their child next to the river, and observed what life rolls by here, constantly unfolding, feeling the rhythms flow. The plants are waking up to Spring time. 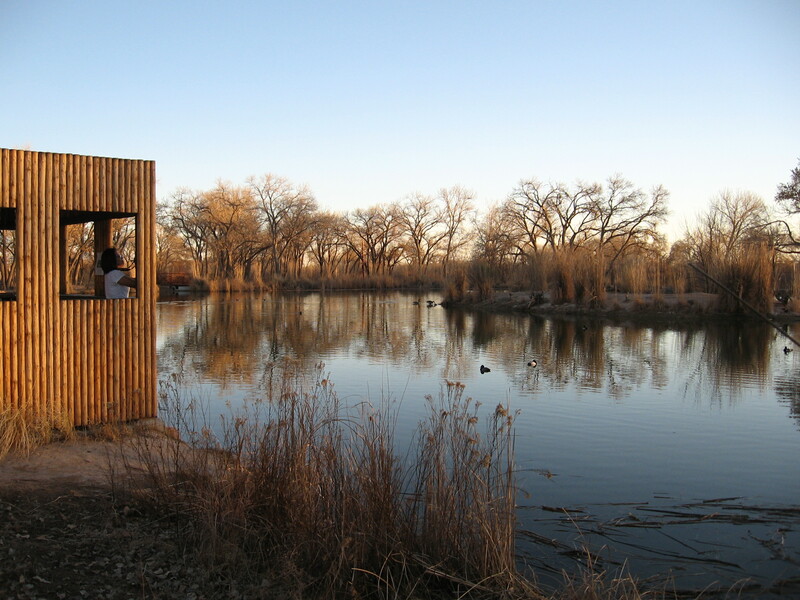 It is very orienting spending time listening and observing outdoors. I feel like I know a little bit more about where I live and am glad to learn more about how others see it. 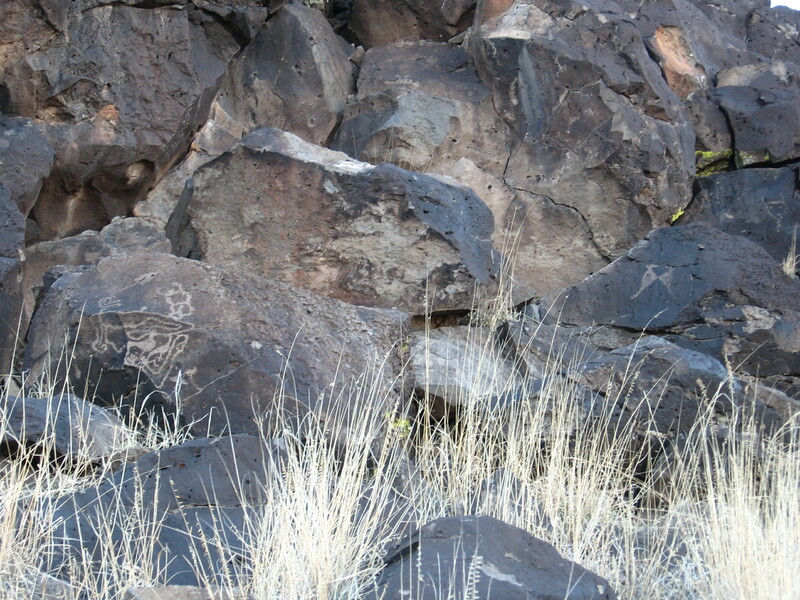 When the ranger asked if anyone wanted to try the moves depicted on a mural, Mai did the deer dance in the kiva. She is adventurous and a natural cultural interpreter and shines a light that helps me see new parts of the world. Thank you. 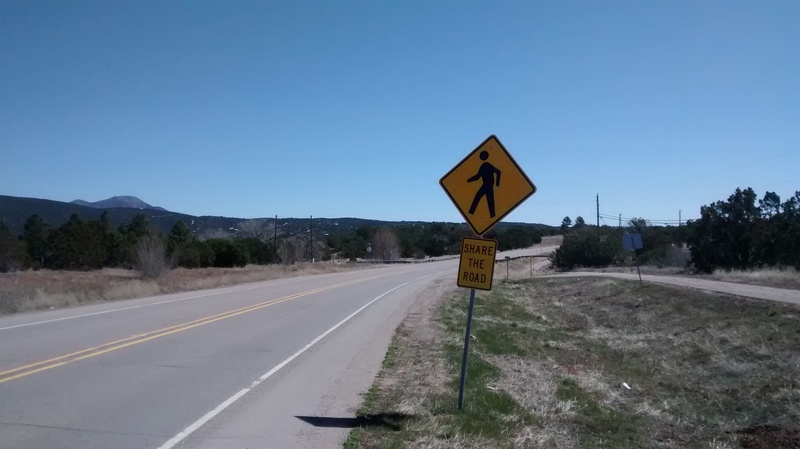 This entry was posted in digital humanities, New Mexico, Walking on March 10, 2015 by bikeyogiblog.